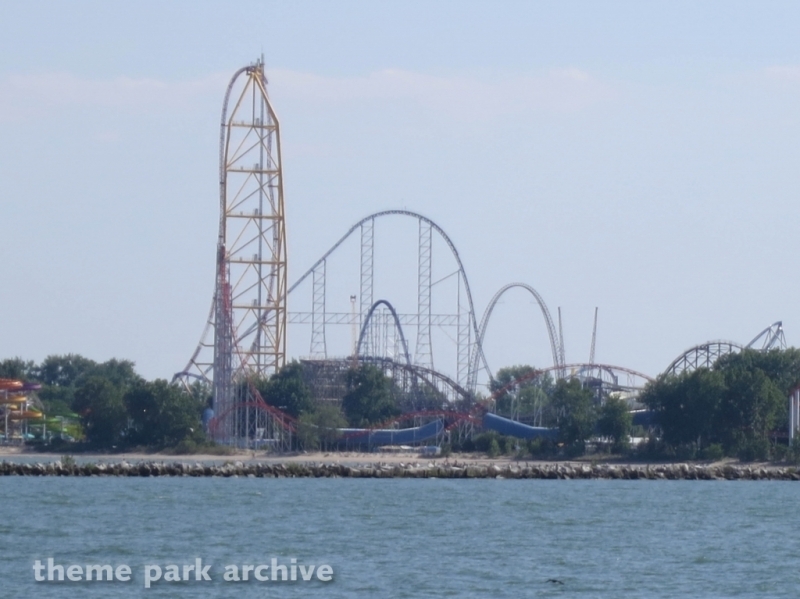 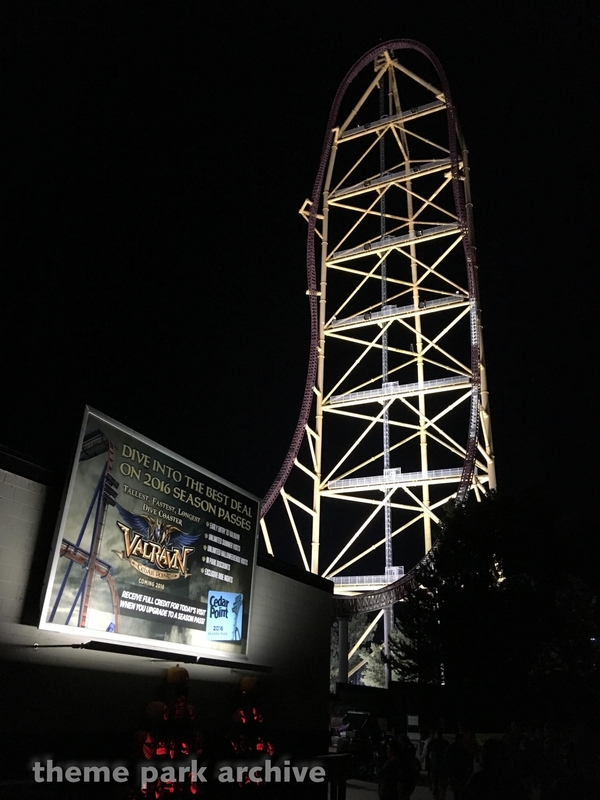 Top Thrill Dragster is a steel Intamin accelerator coaster at Cedar Point that opened in 2003 as the tallest and fastest roller coaster in the world. 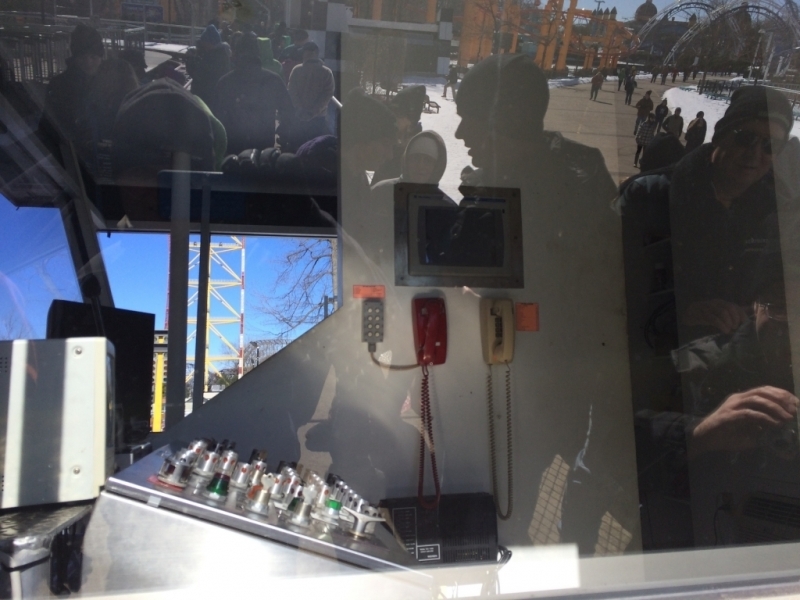 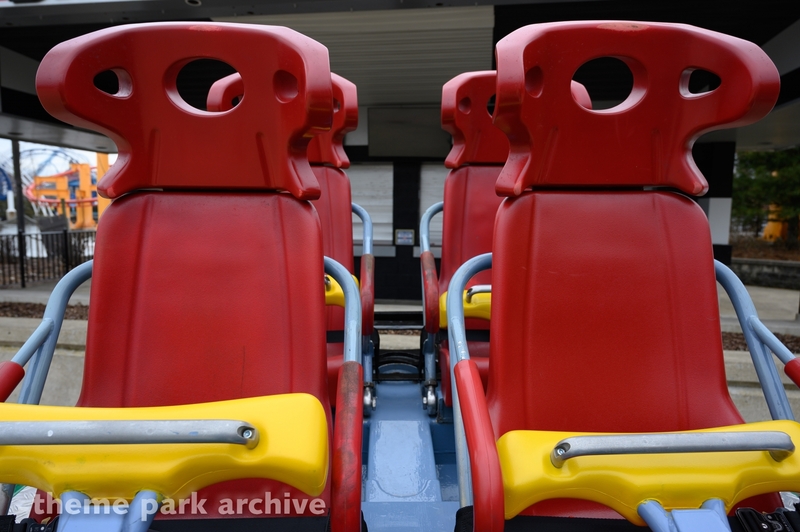 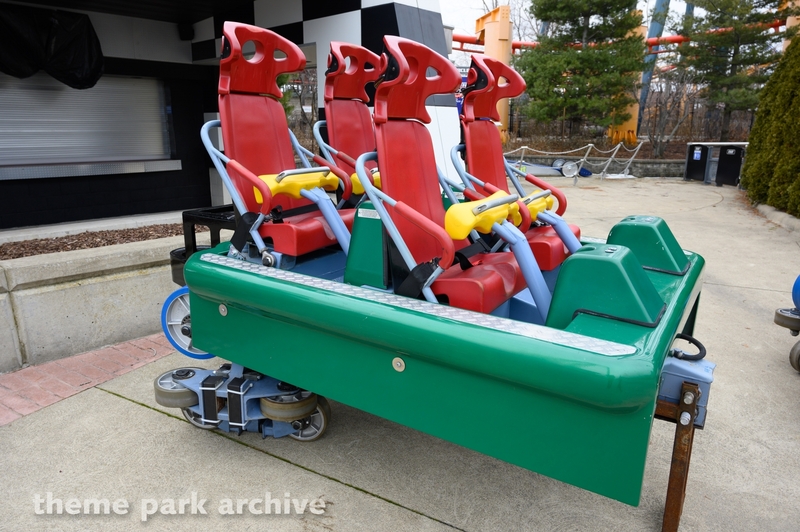 The ride was designed by Werner Stengel. 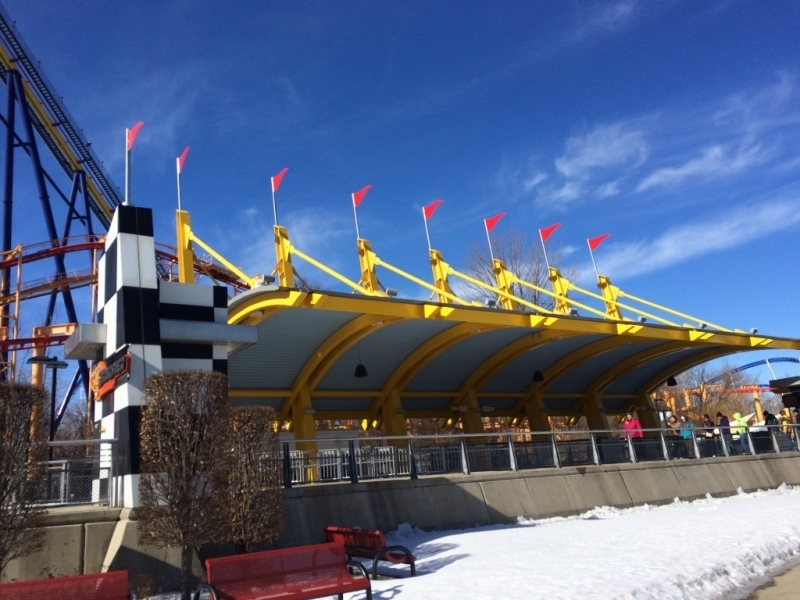 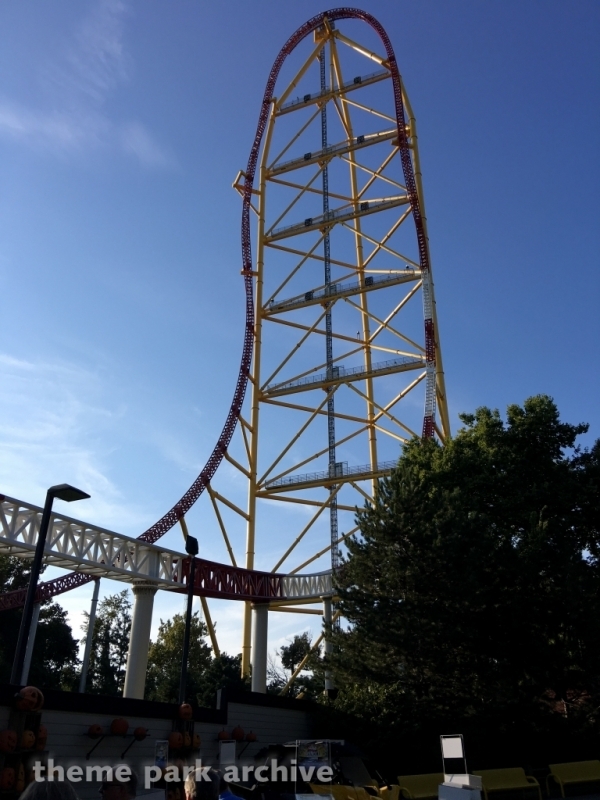 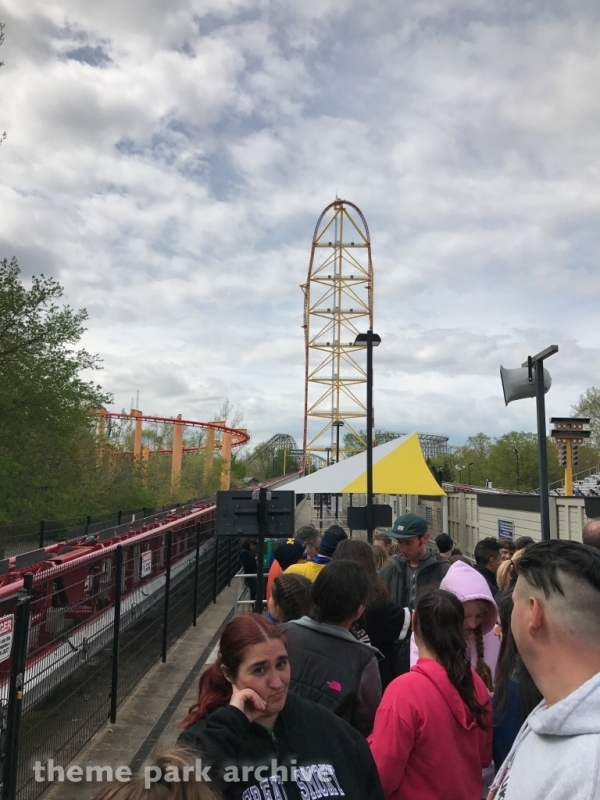 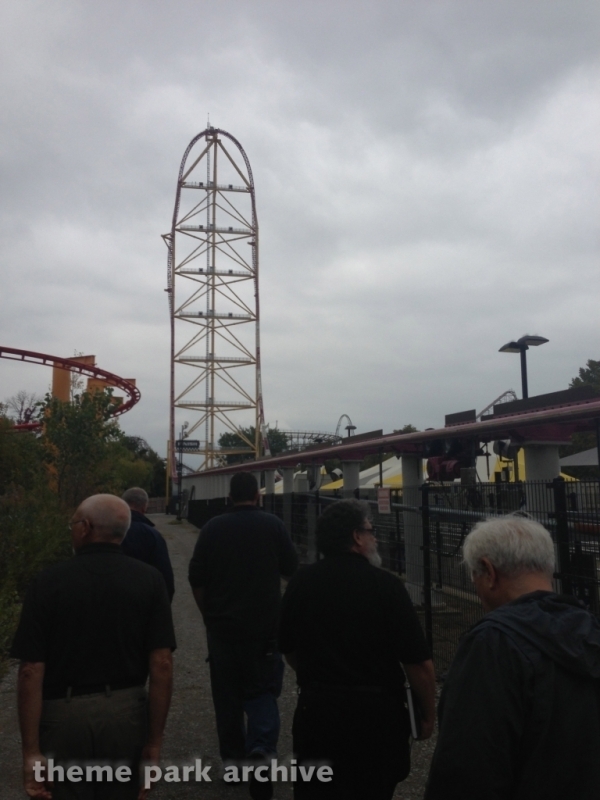 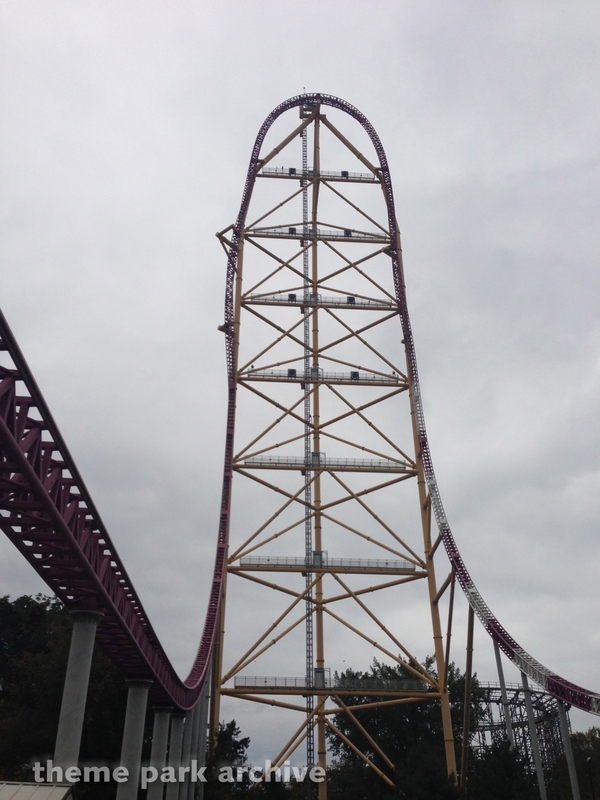 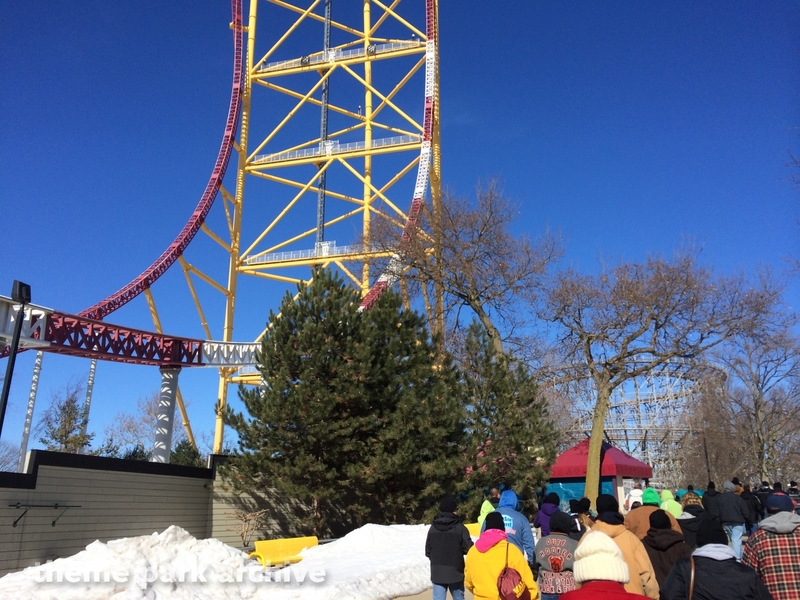 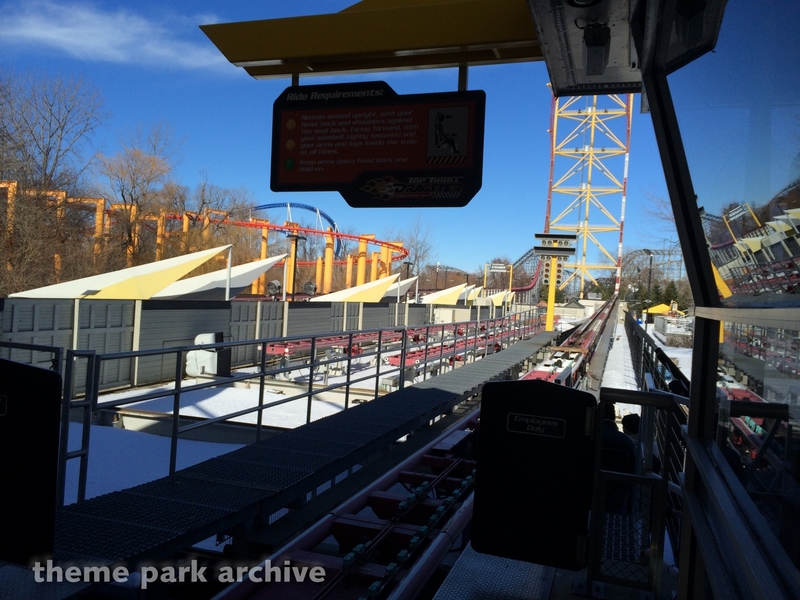 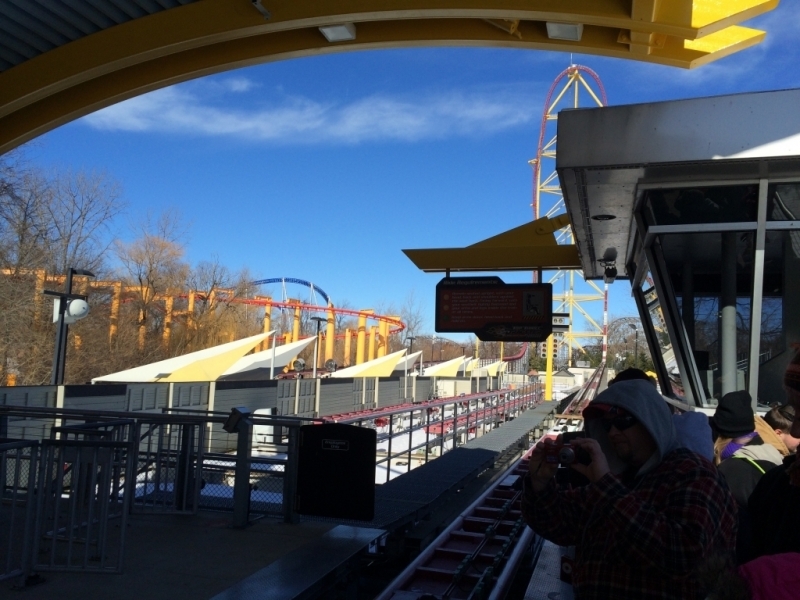 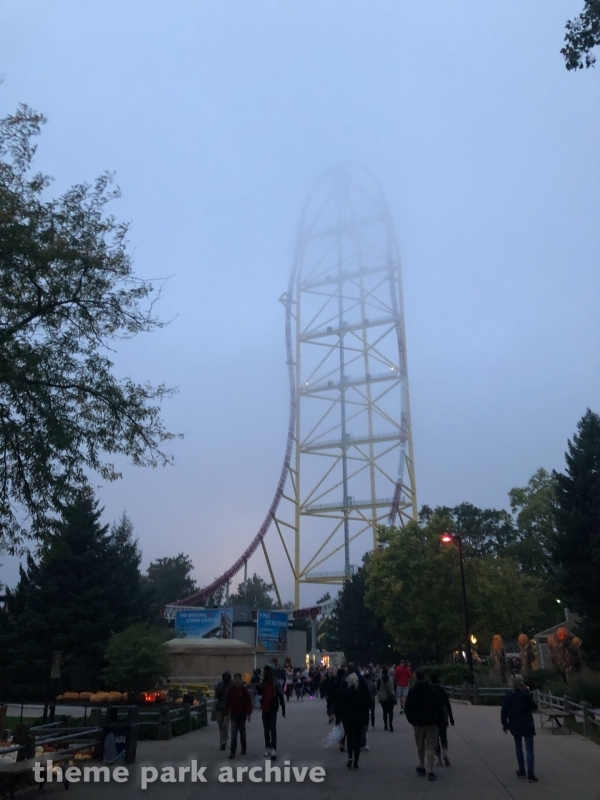 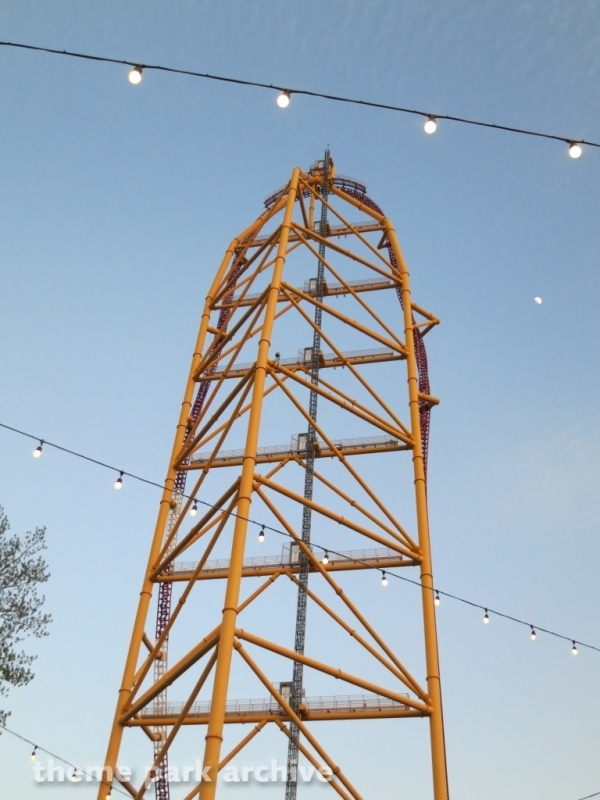 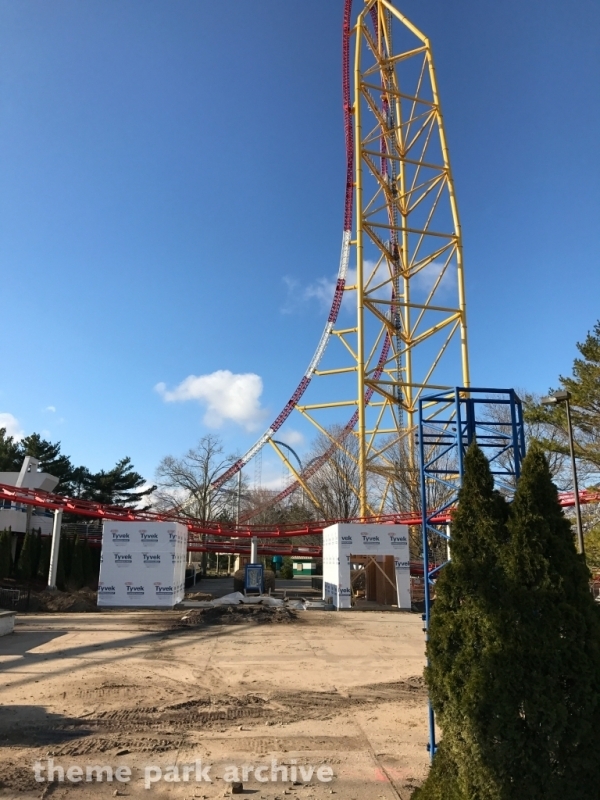 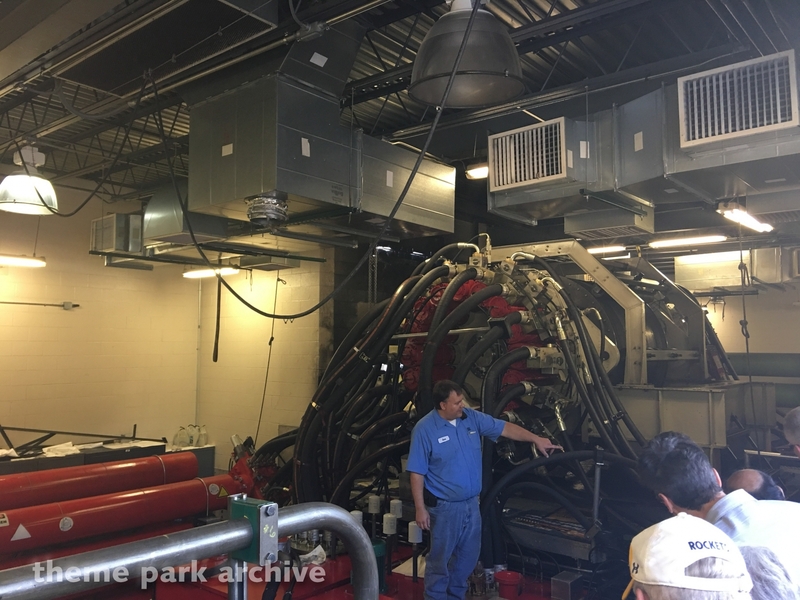 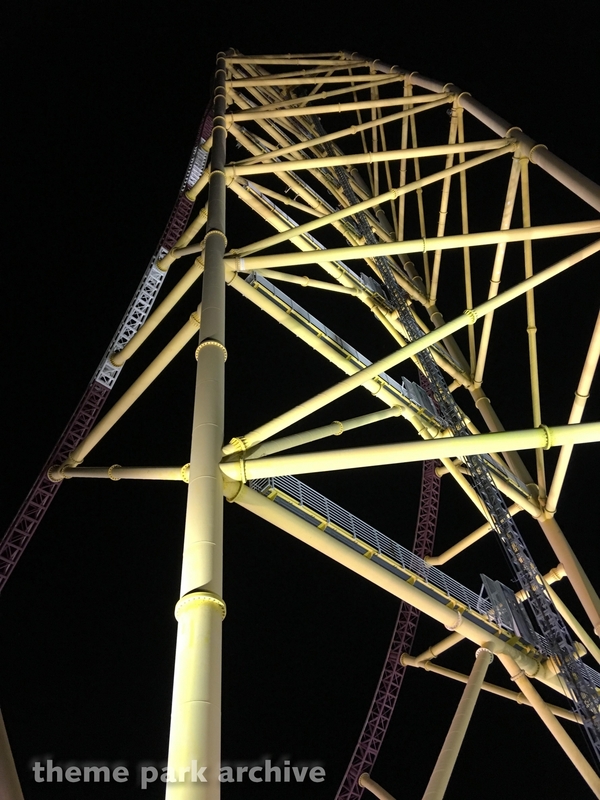 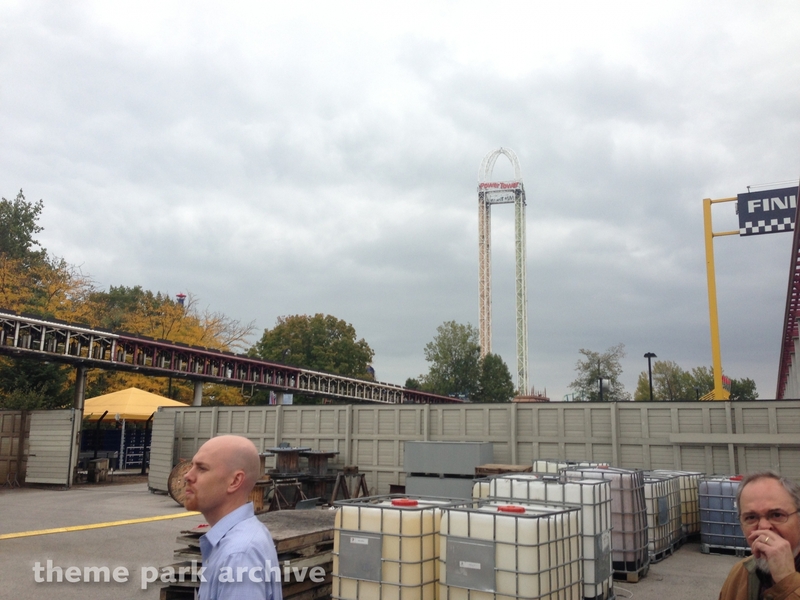 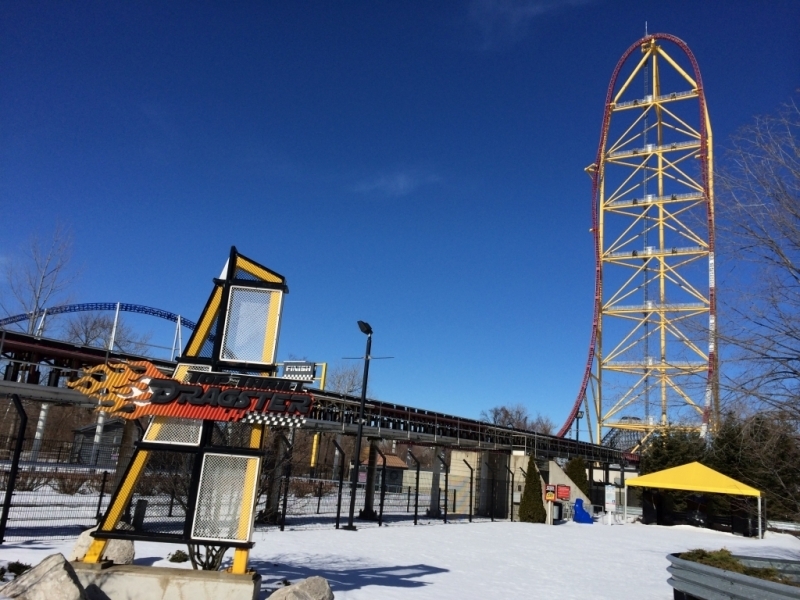 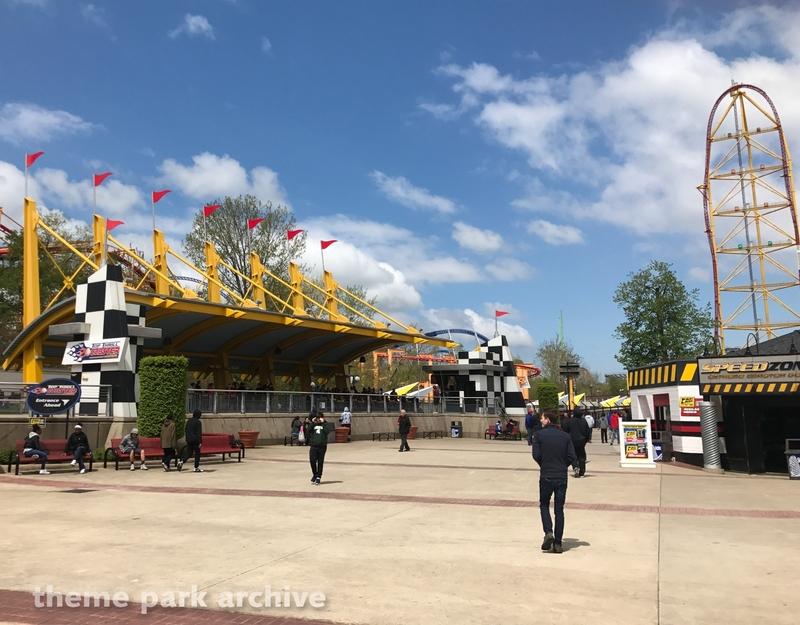 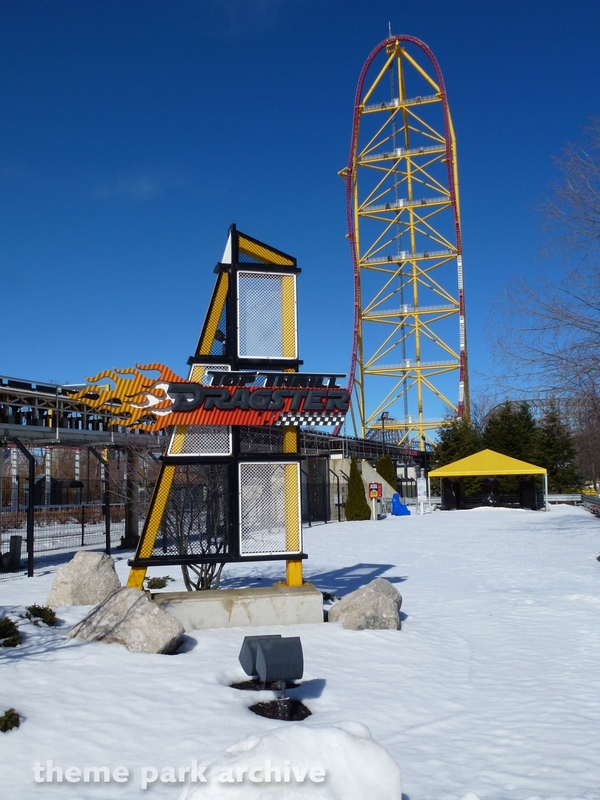 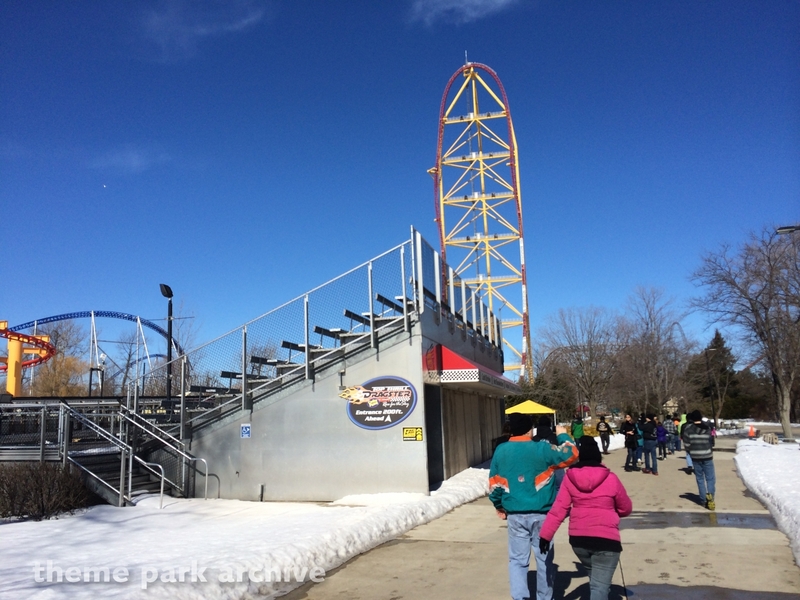 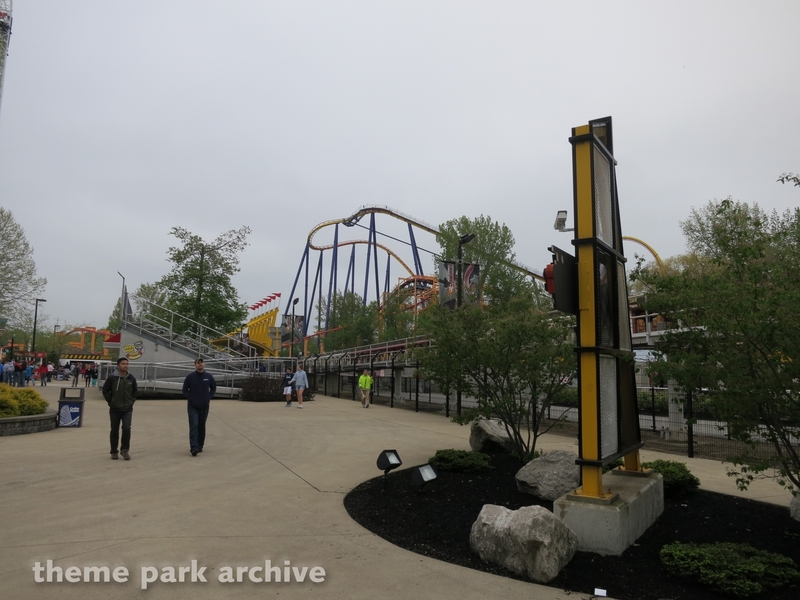 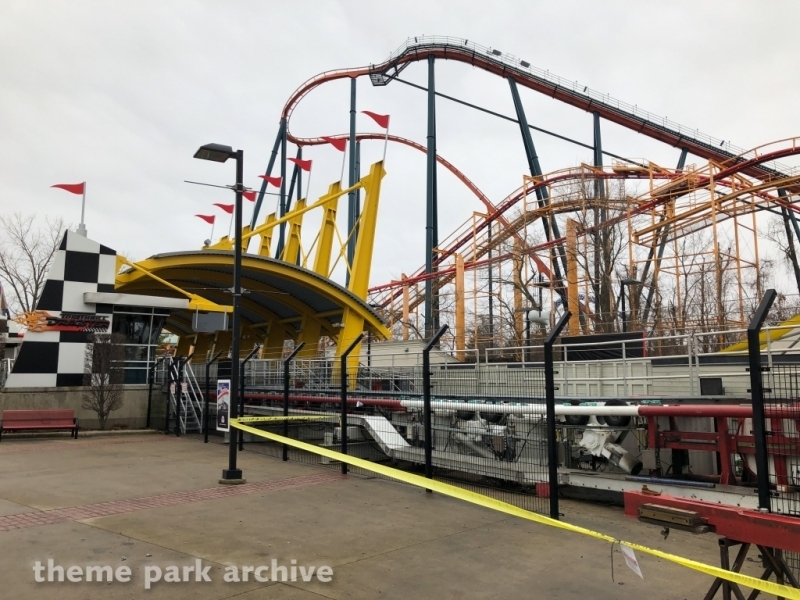 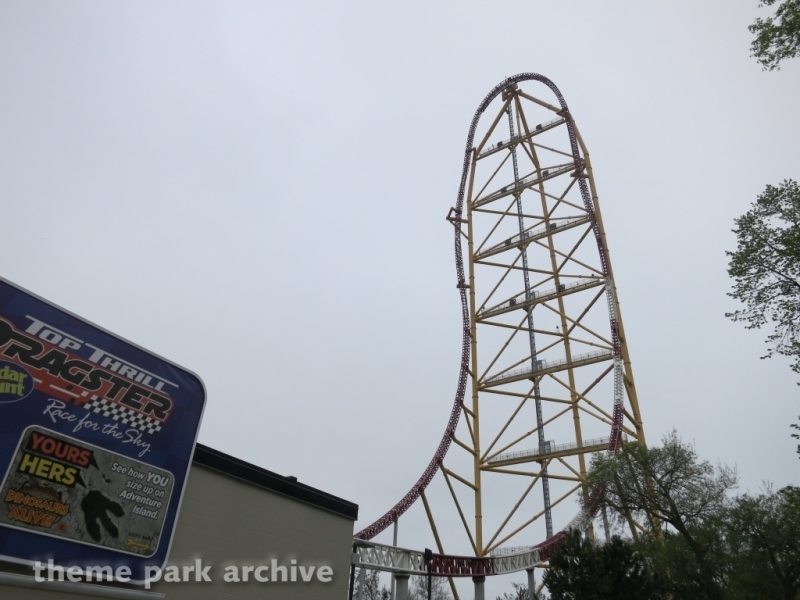 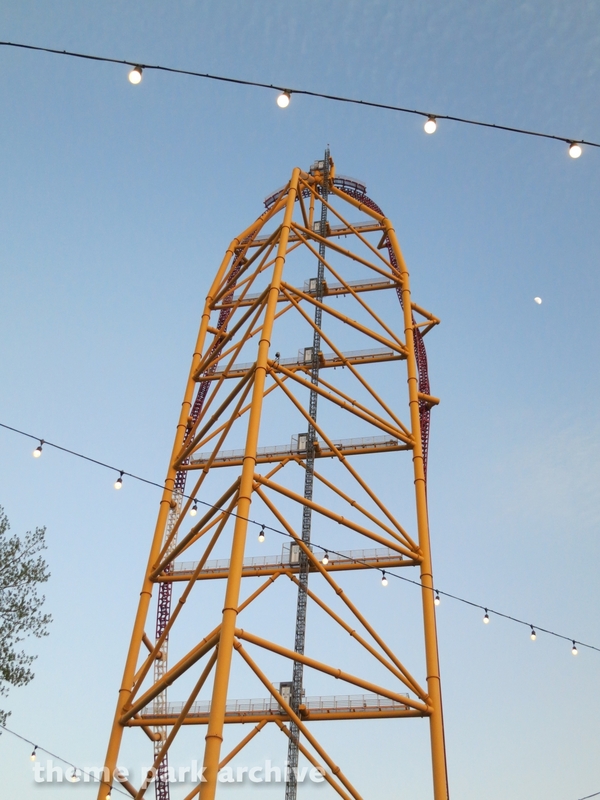 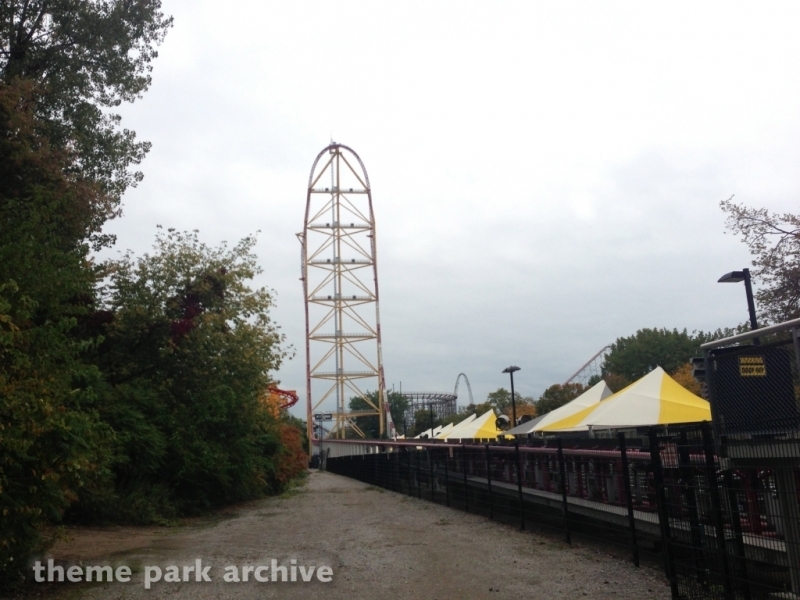 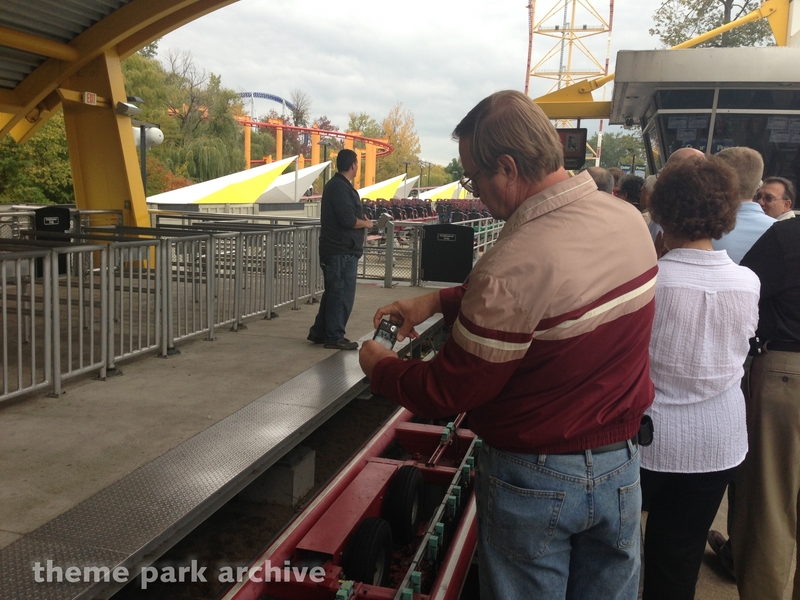 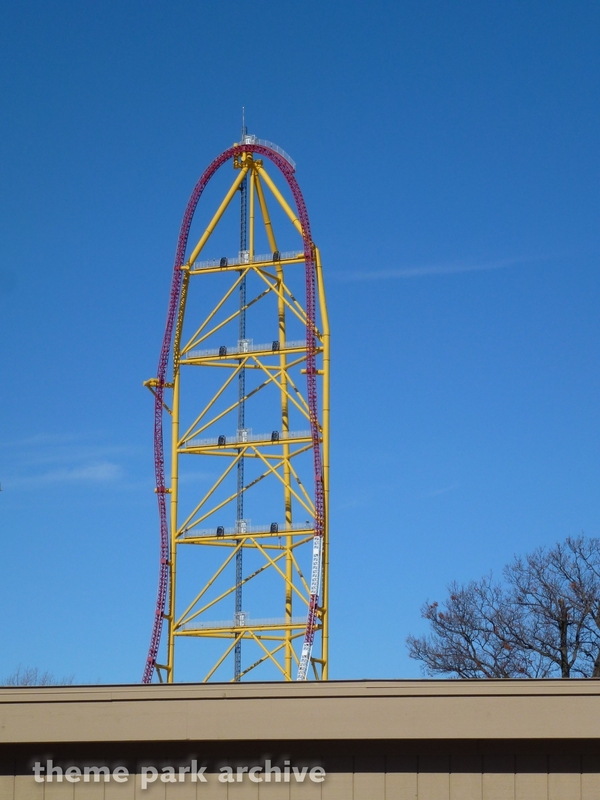 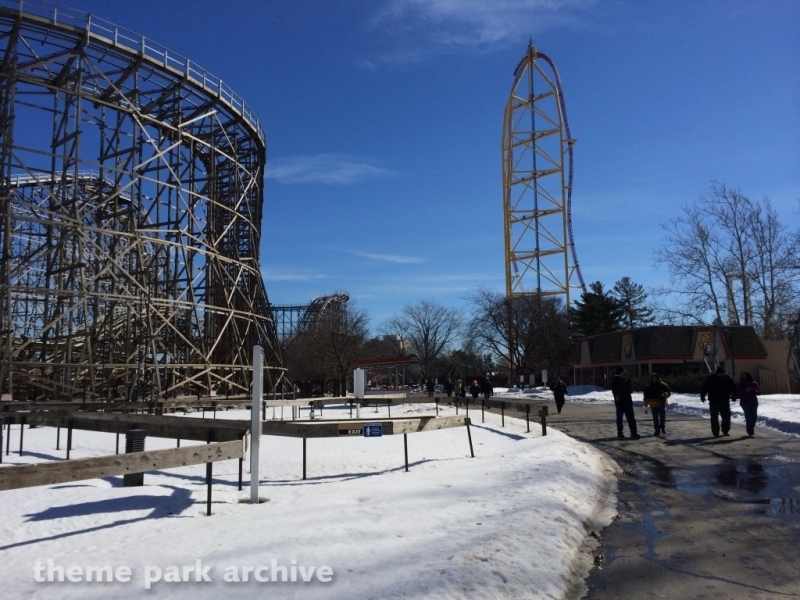 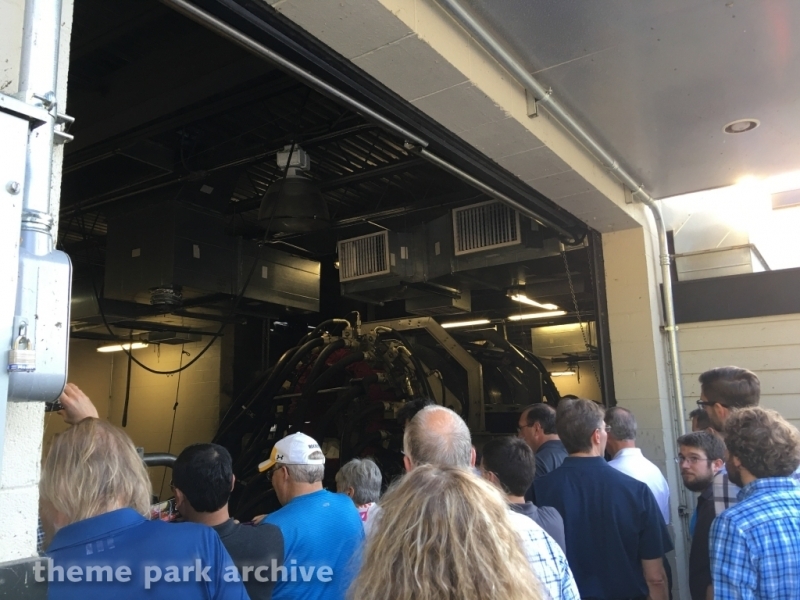 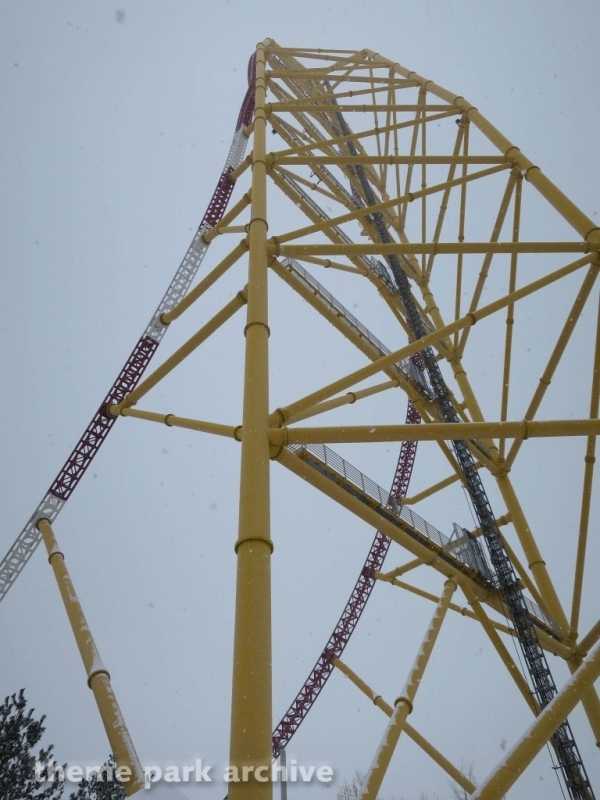 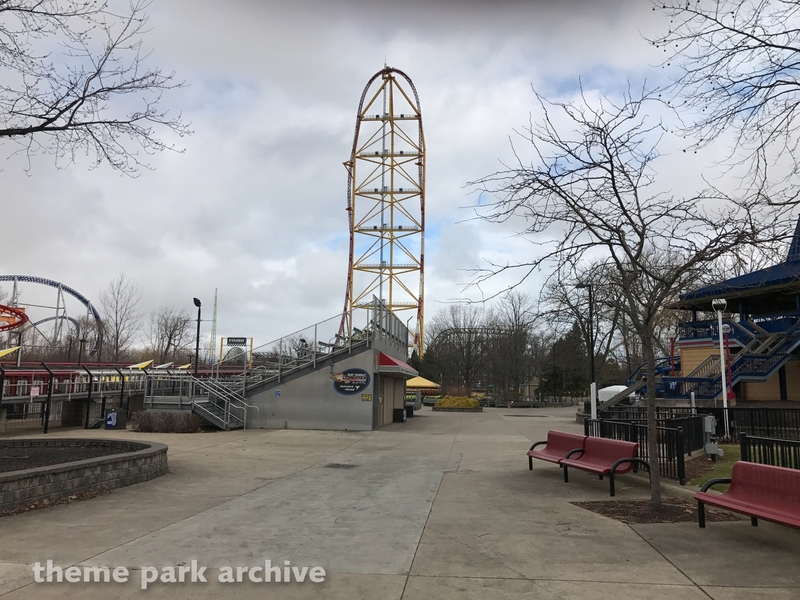 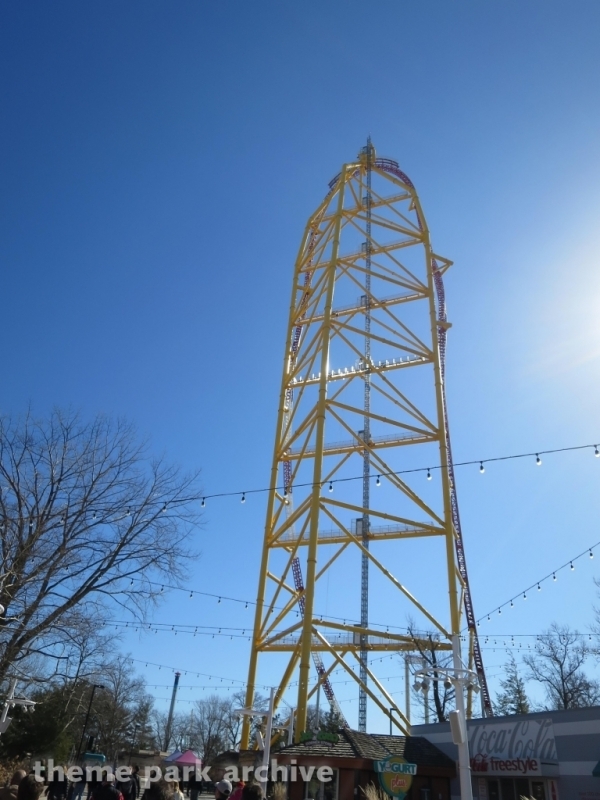 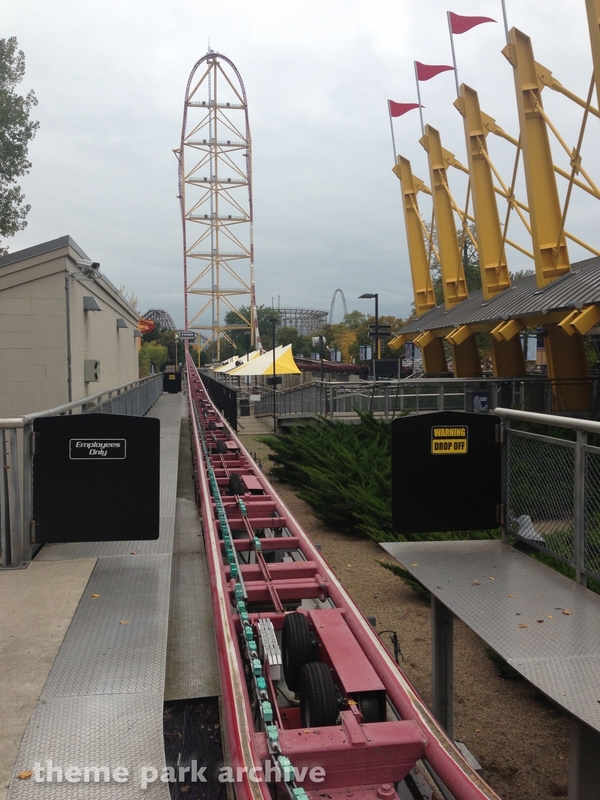 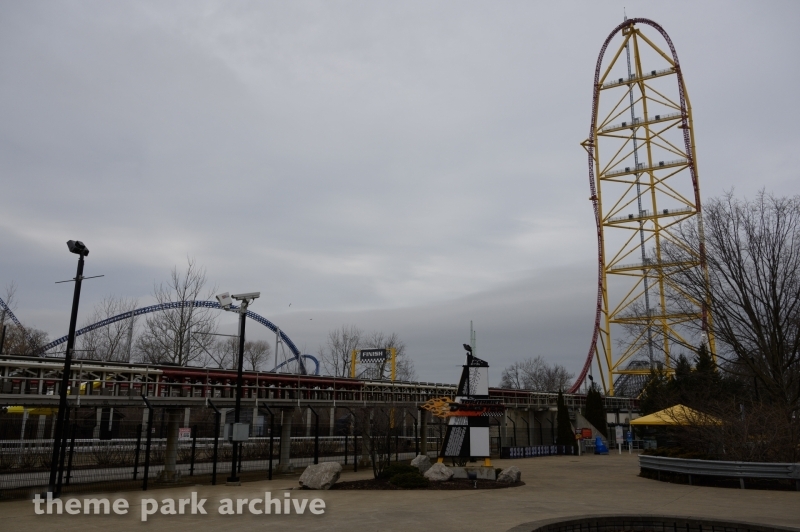 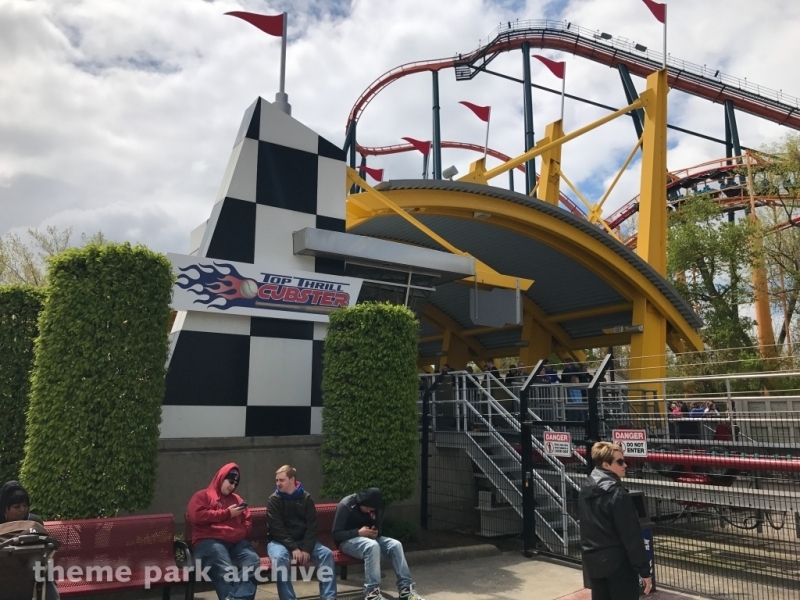 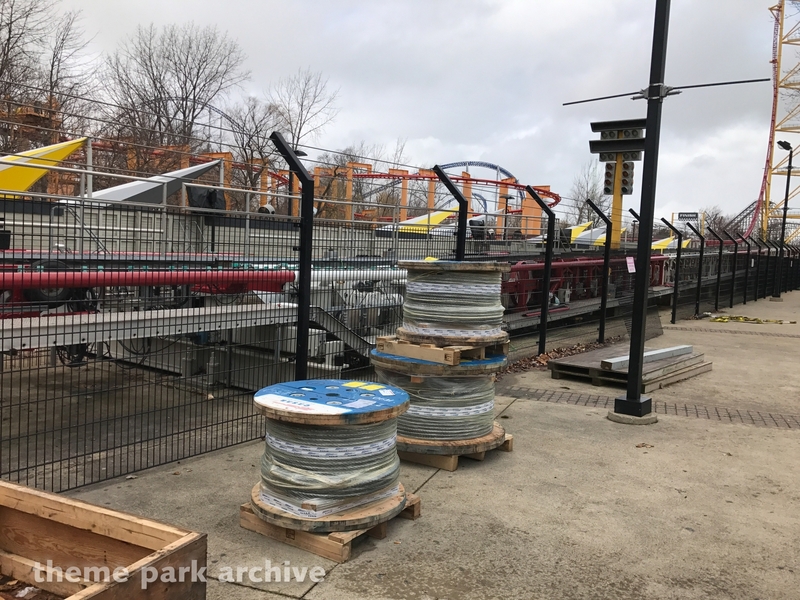 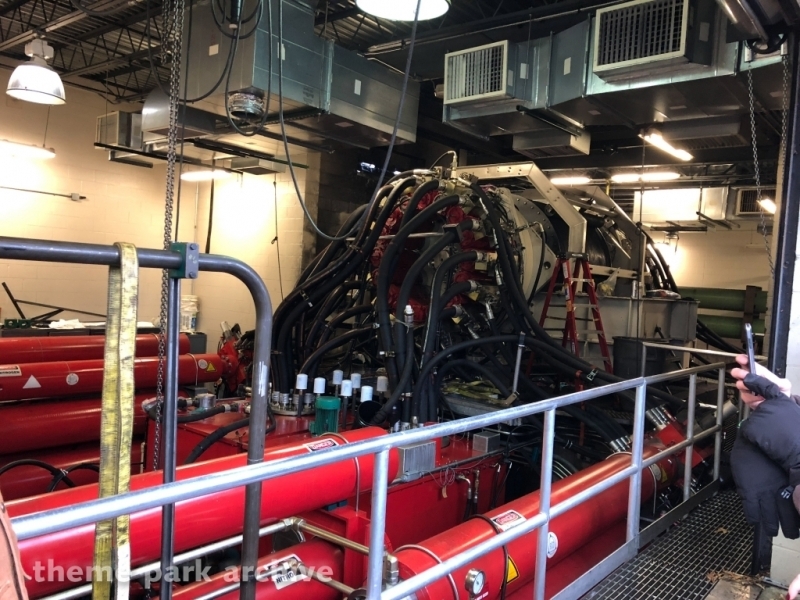 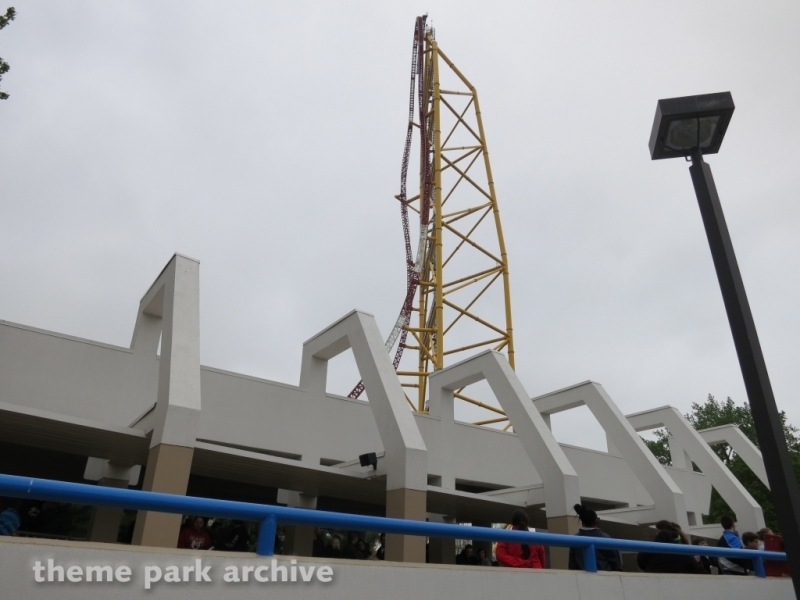 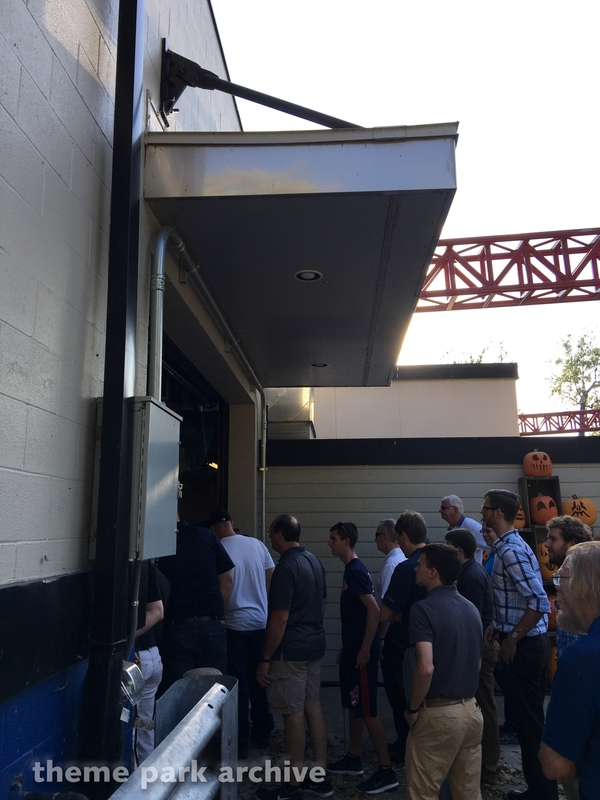 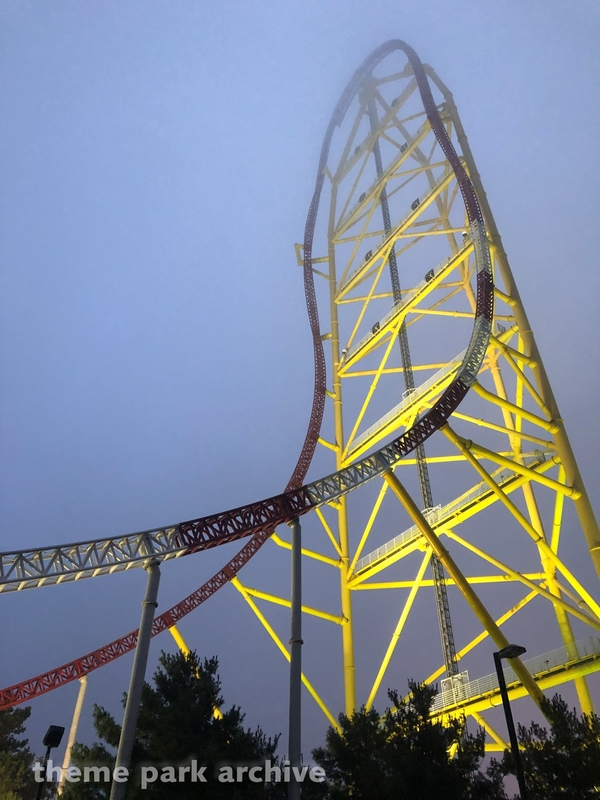 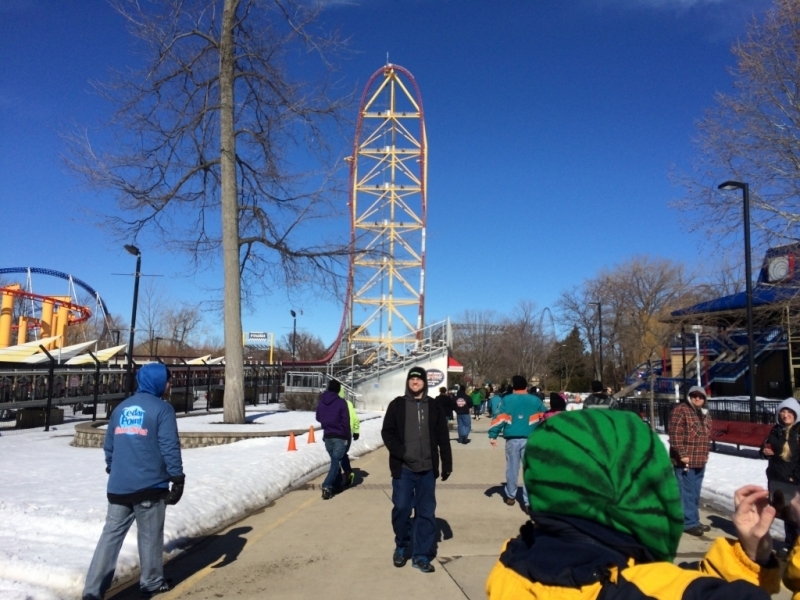 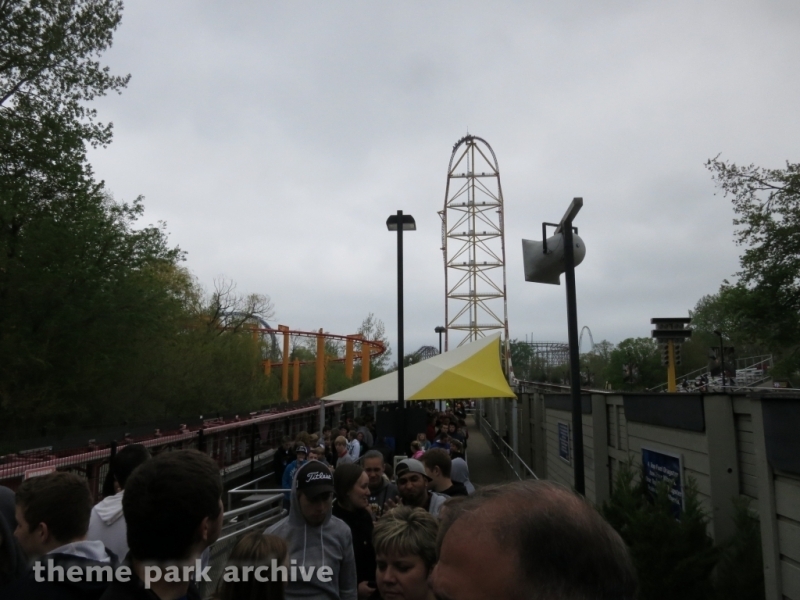 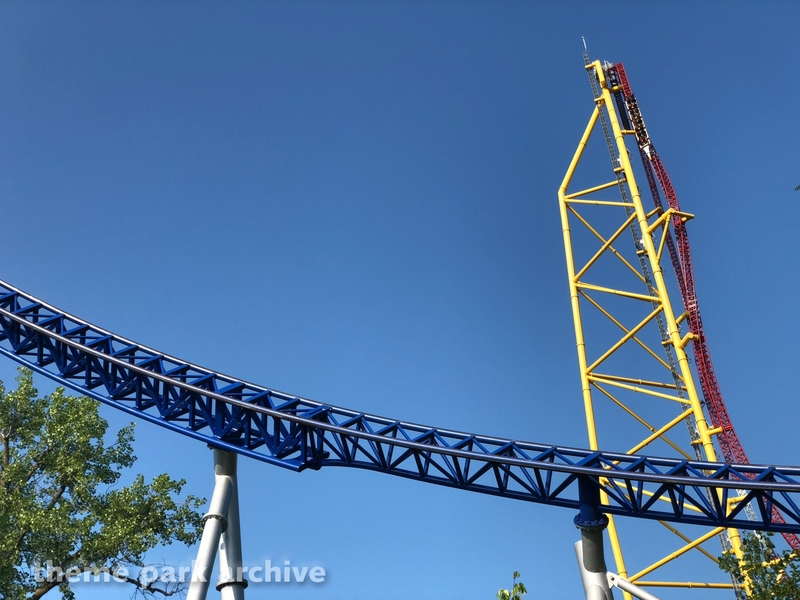 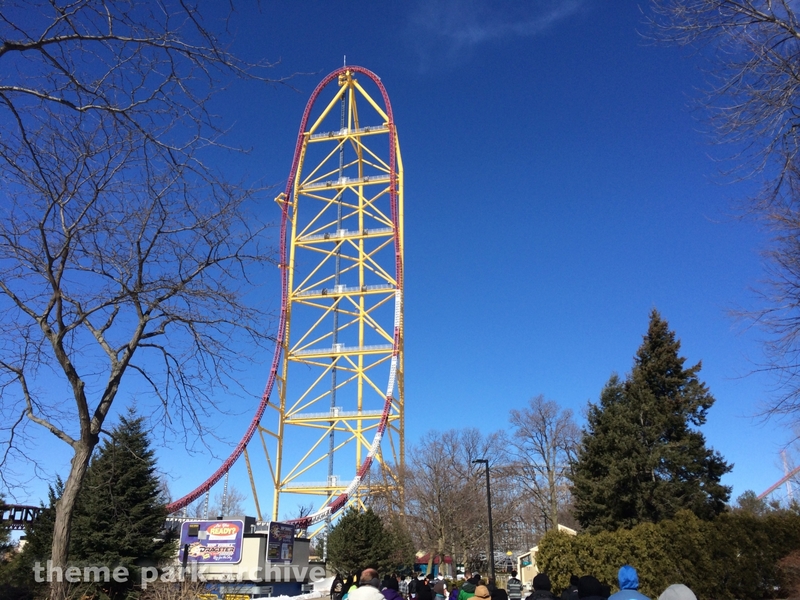 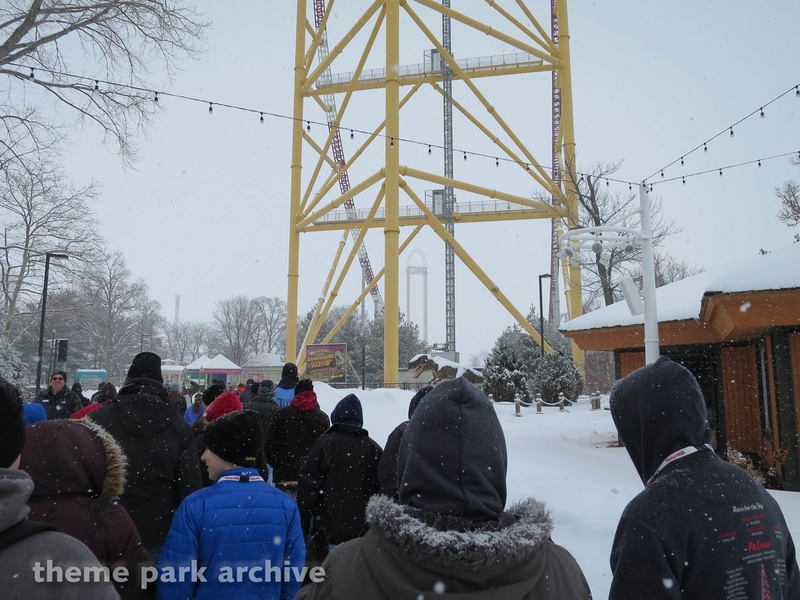 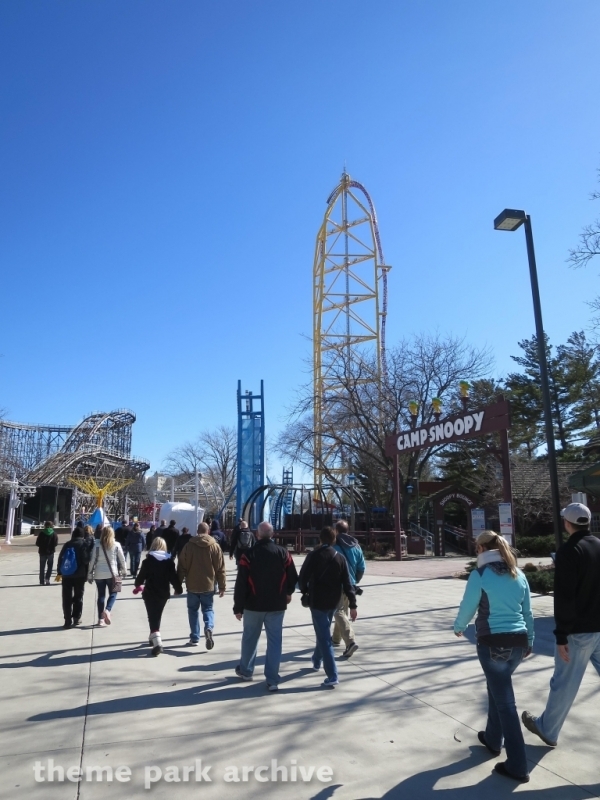 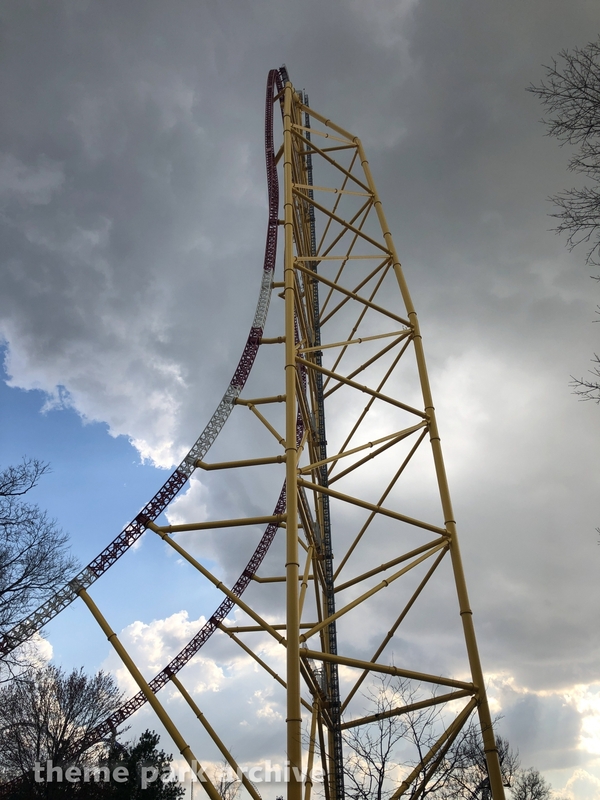 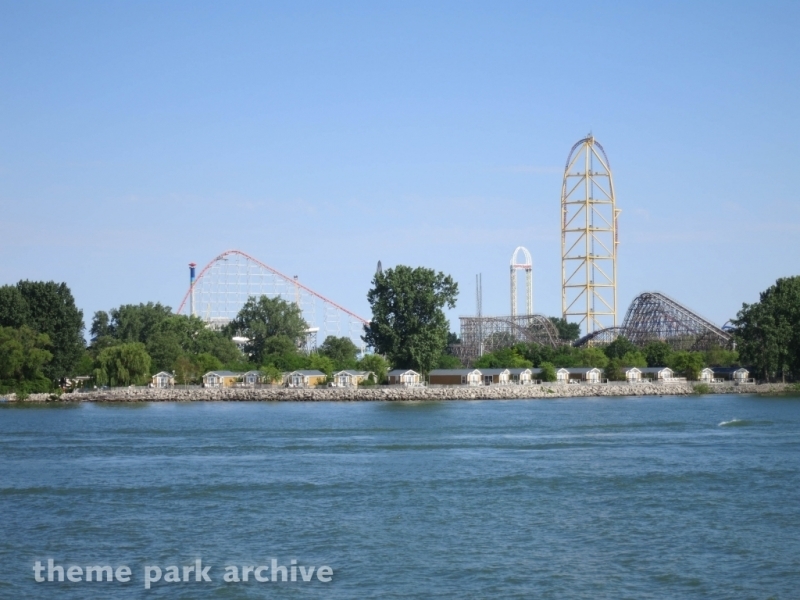 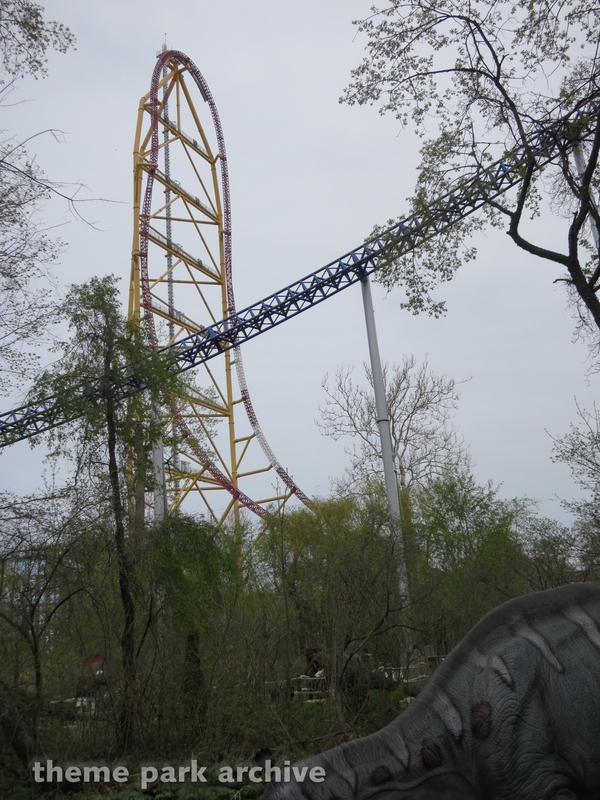 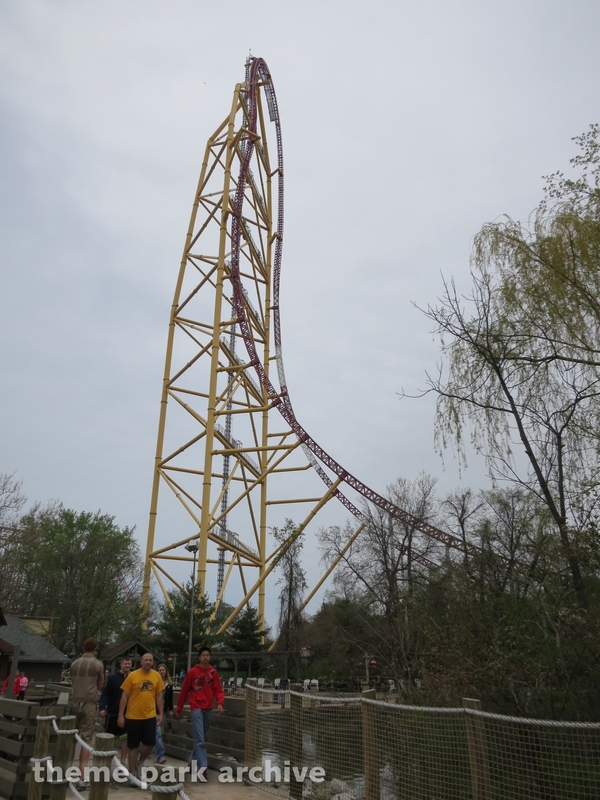 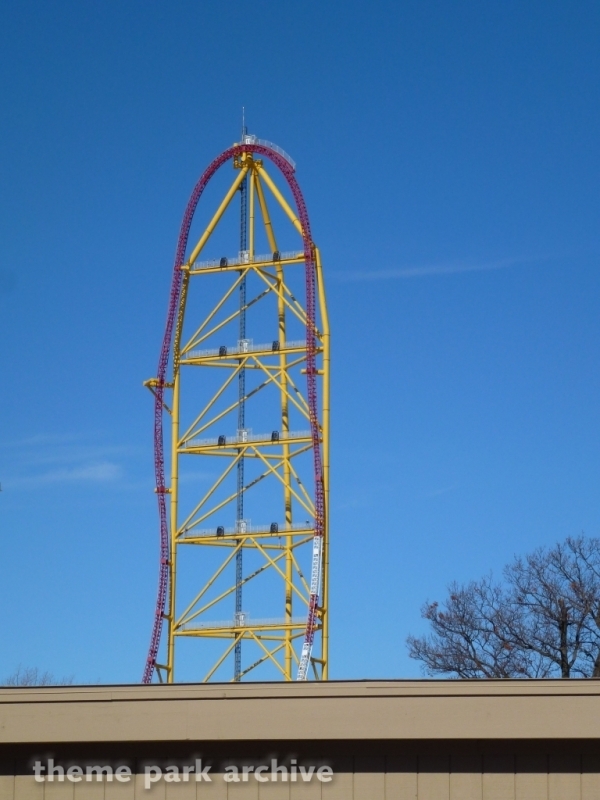 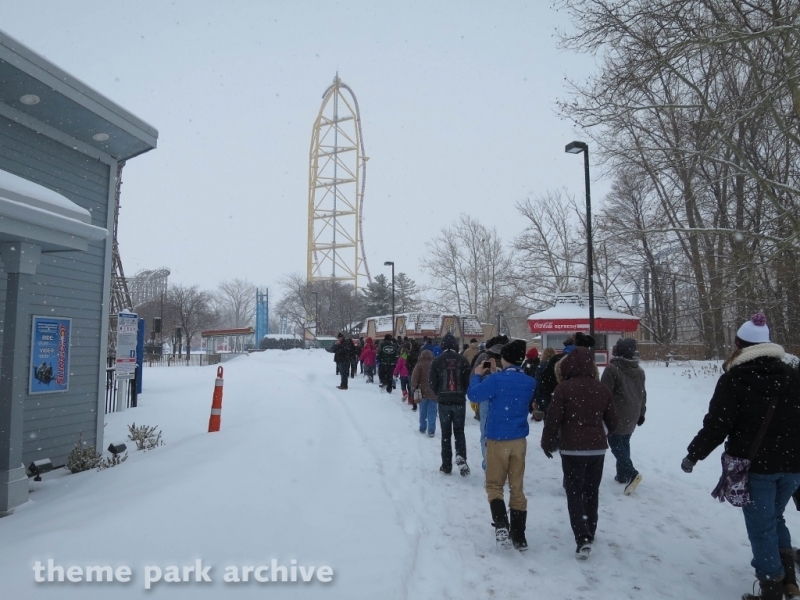 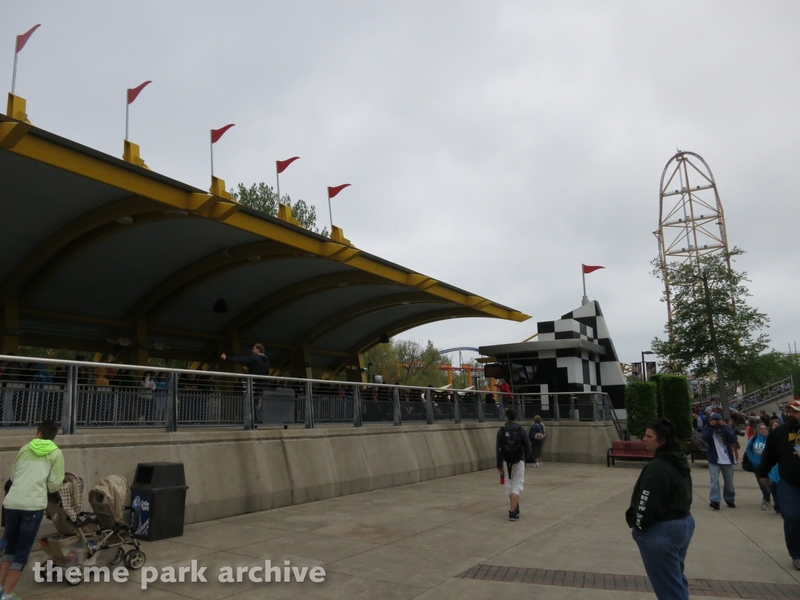 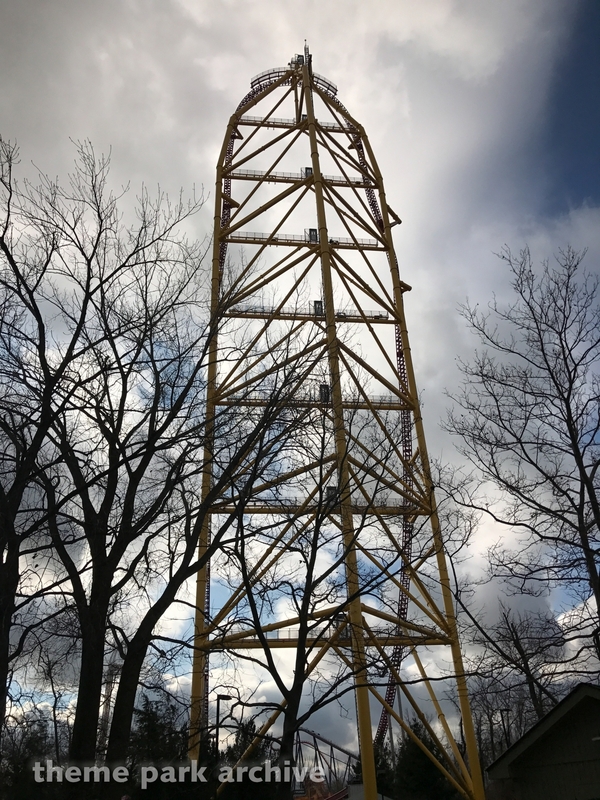 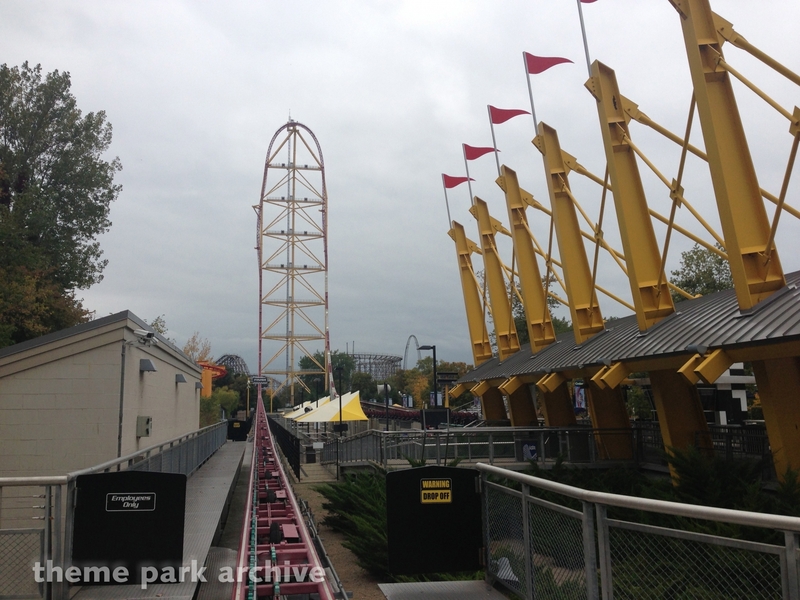 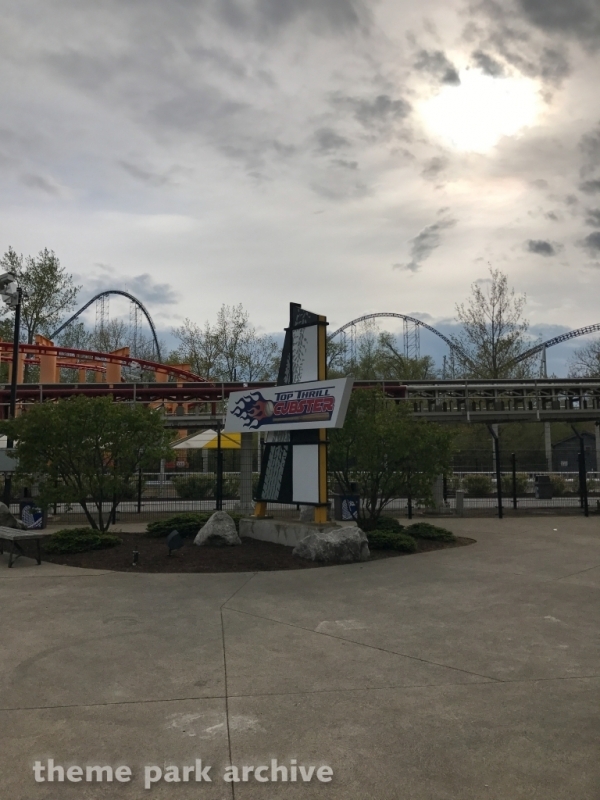 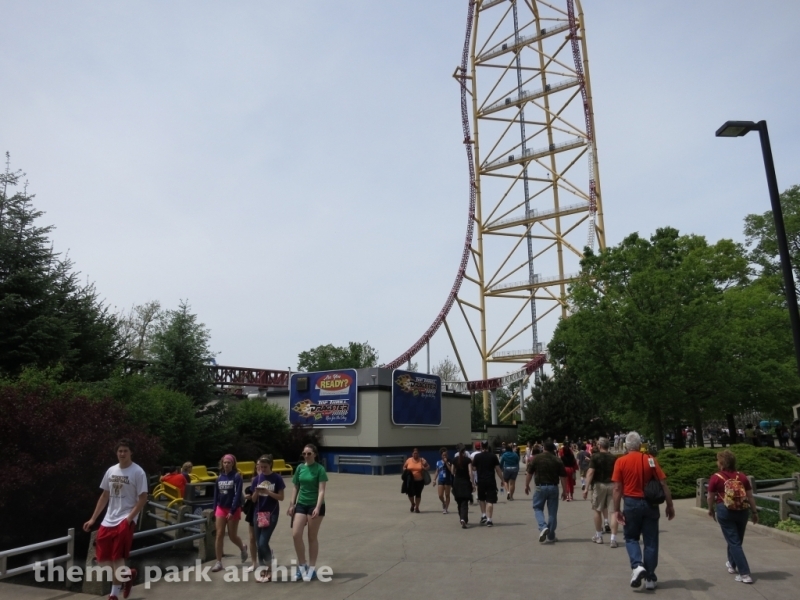 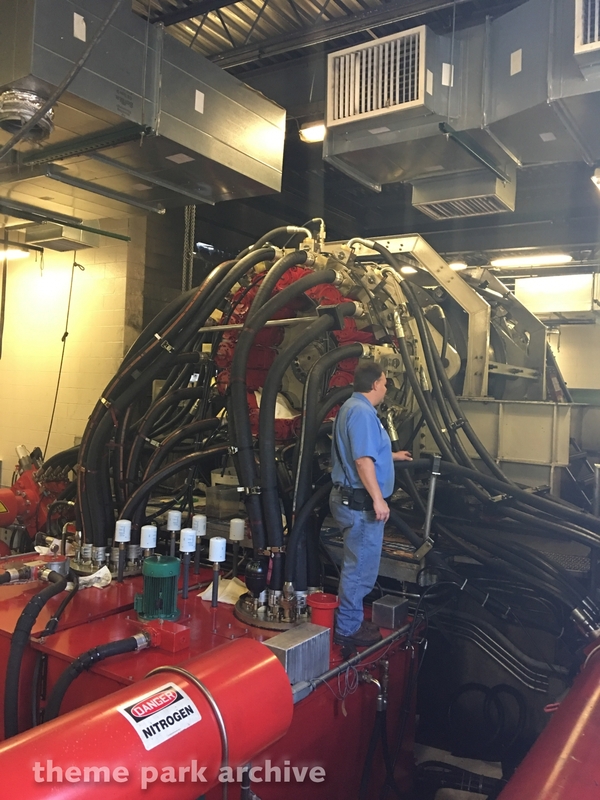 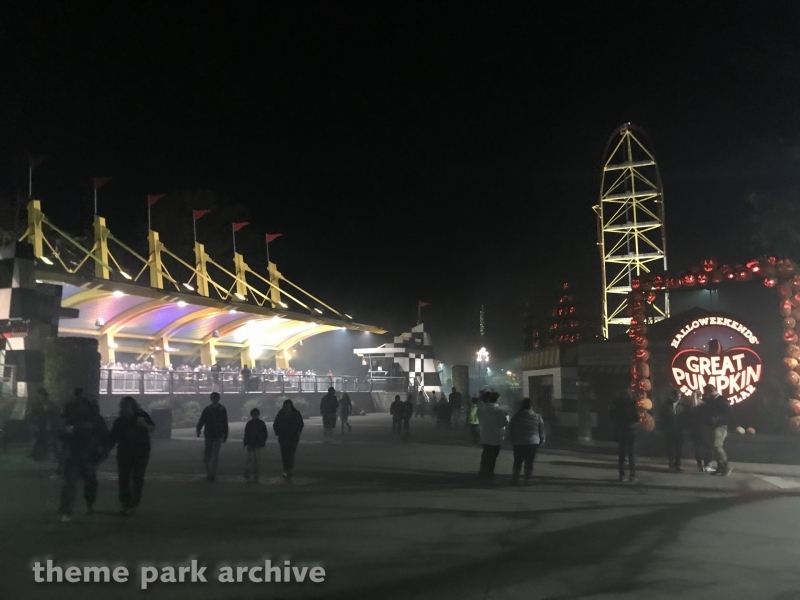 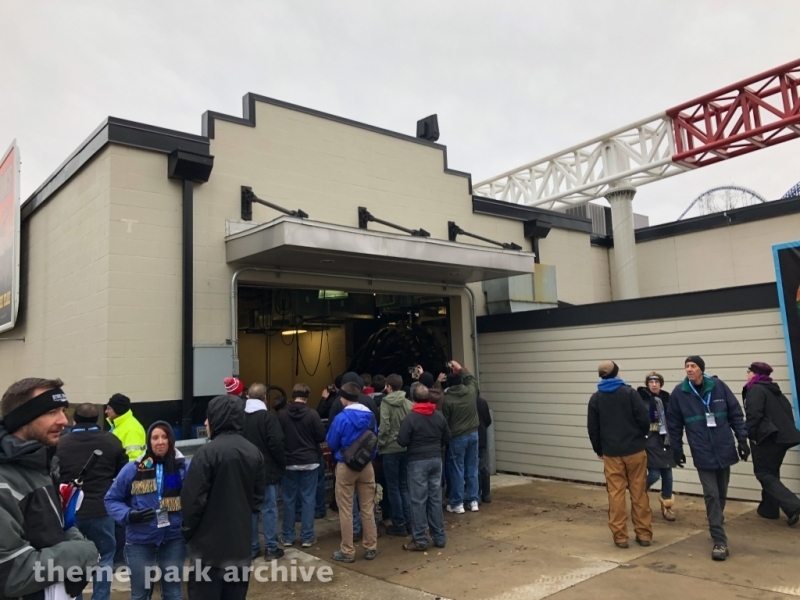 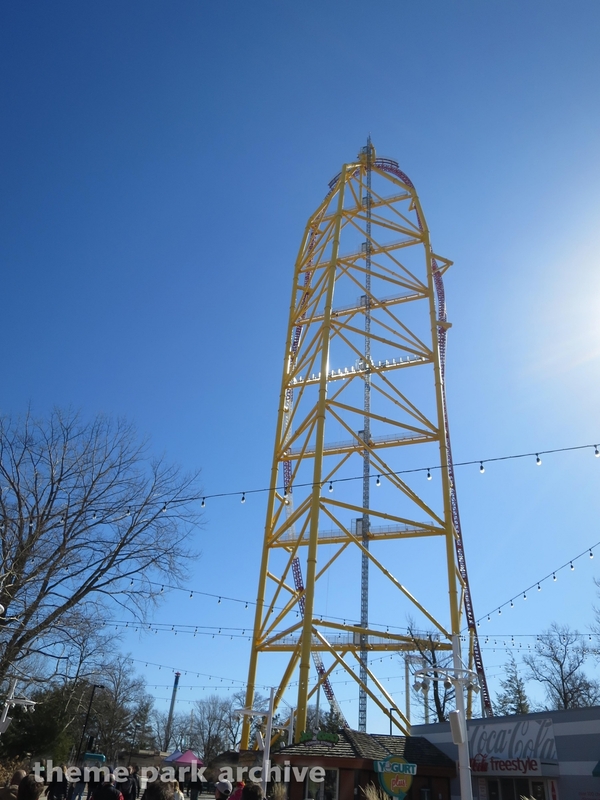 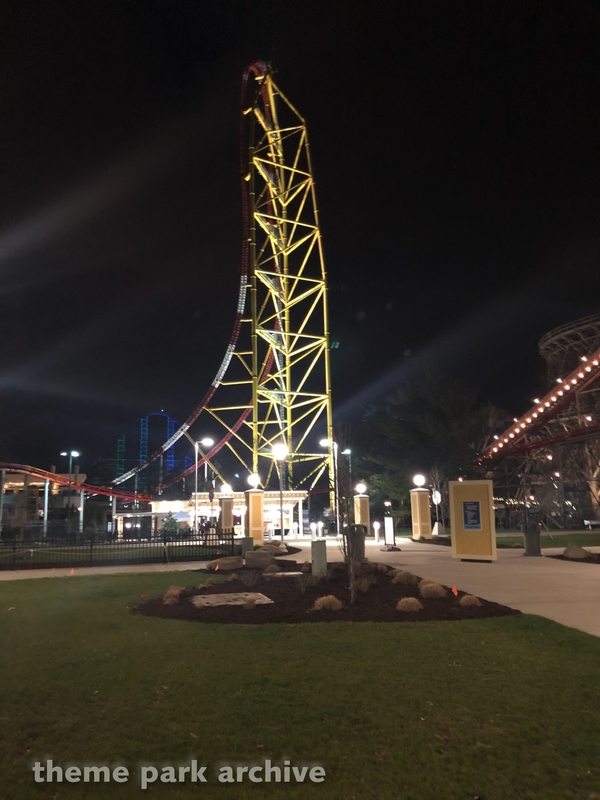 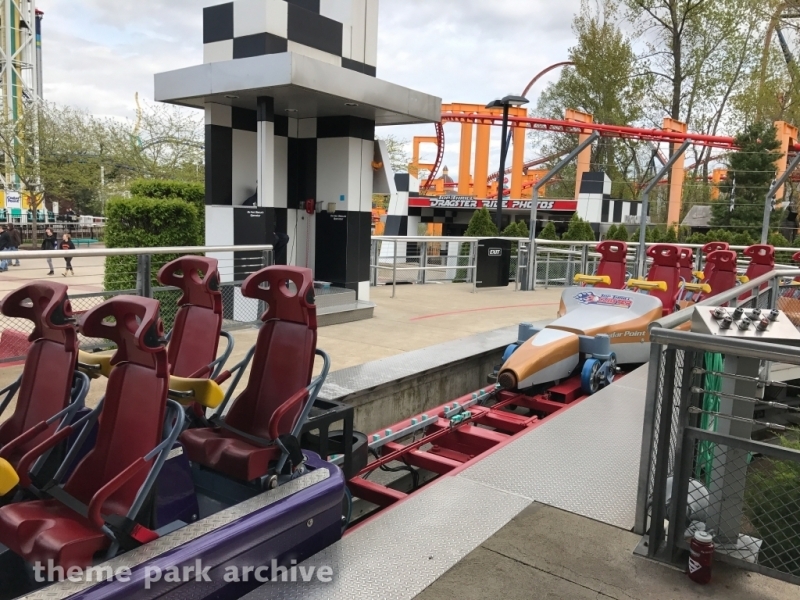 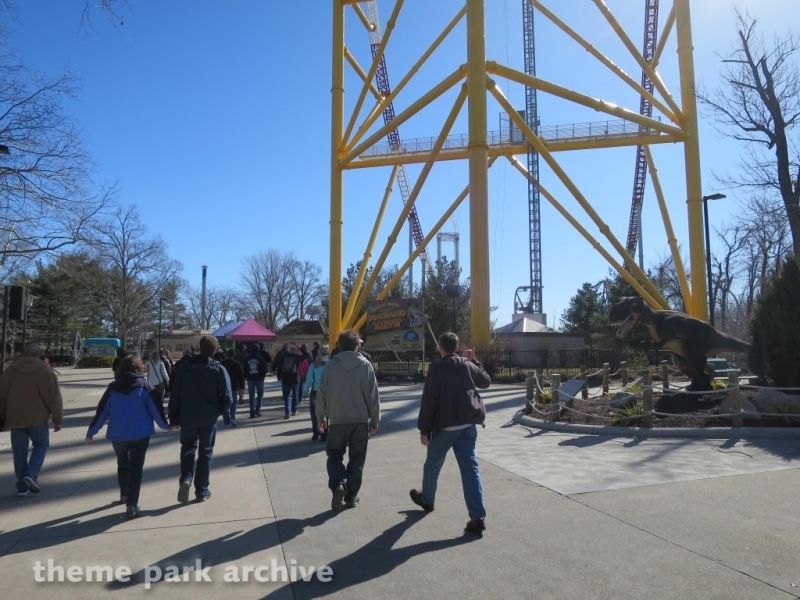 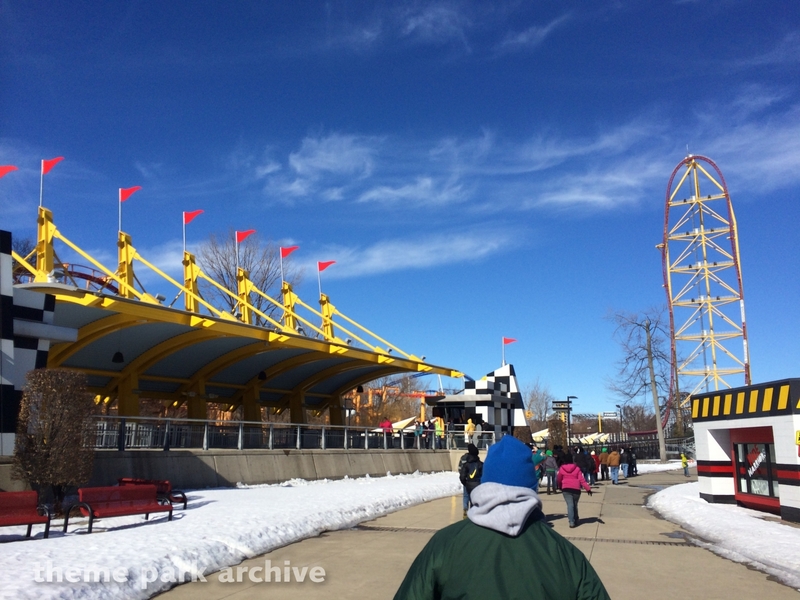 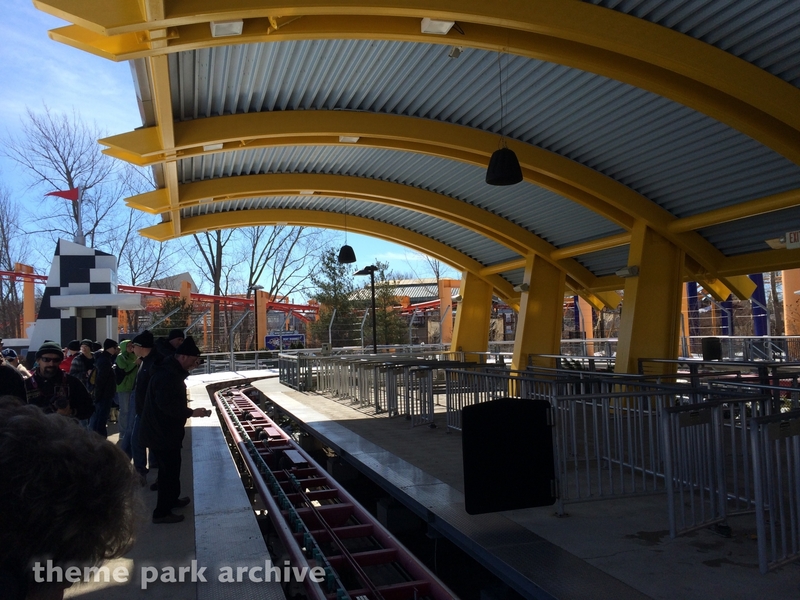 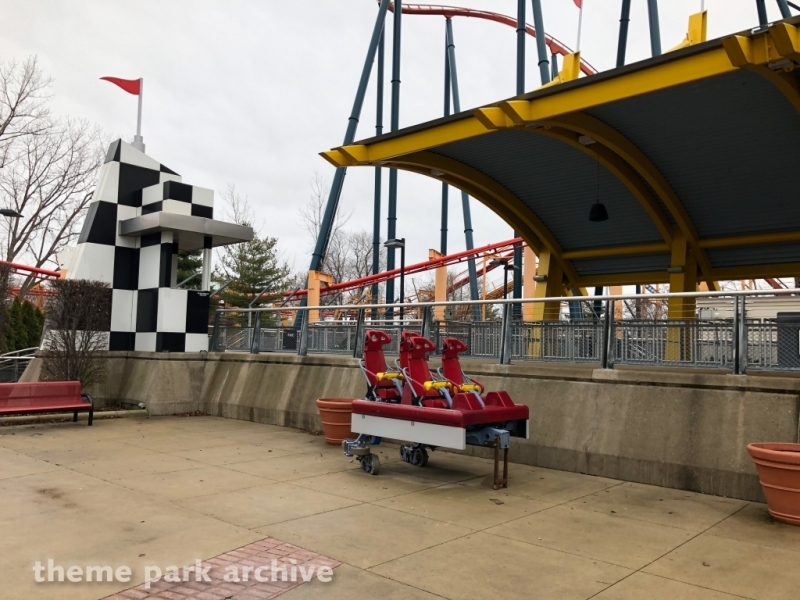 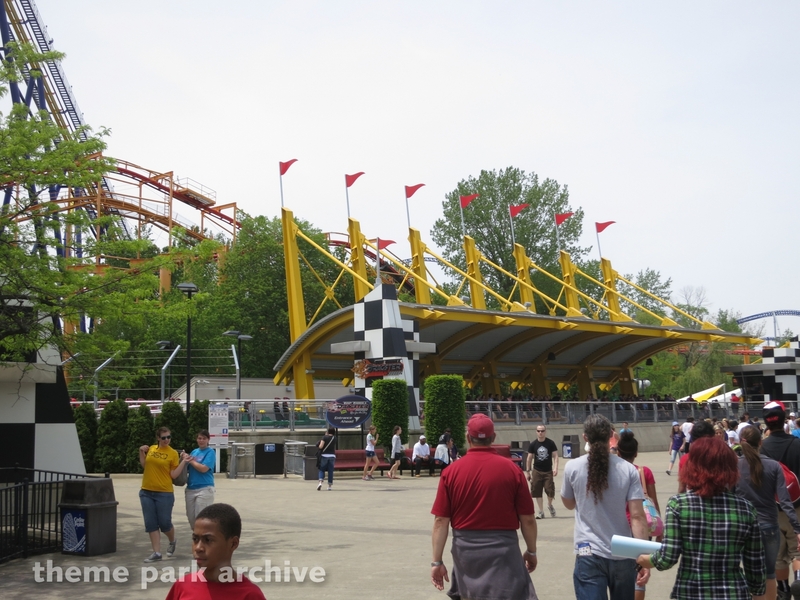 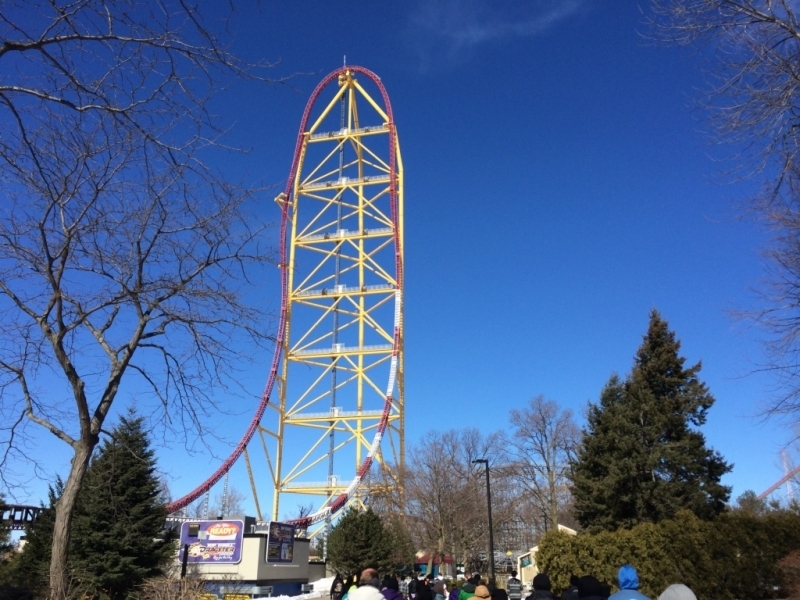 Top Thrill Dragster contains a hydraulic launch that will propel one of 6 trains up to 120 miles an hour up a 420 foot tower. 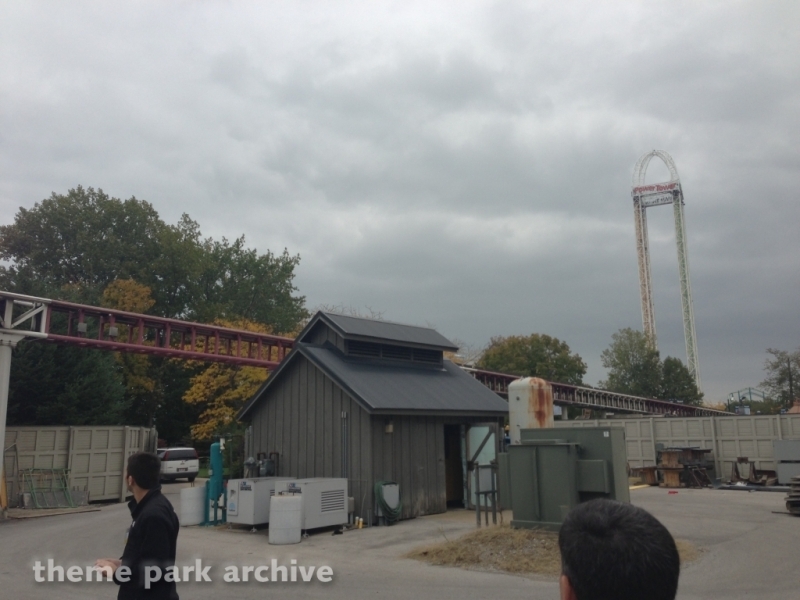 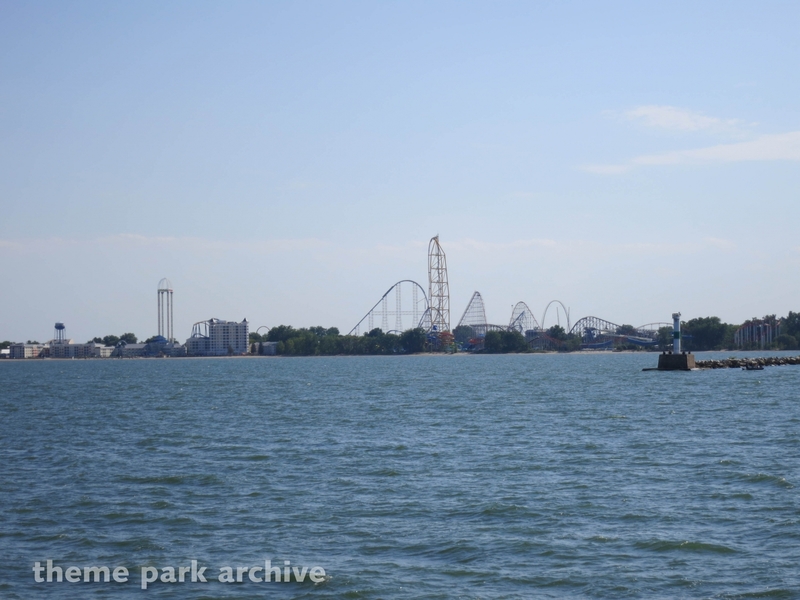 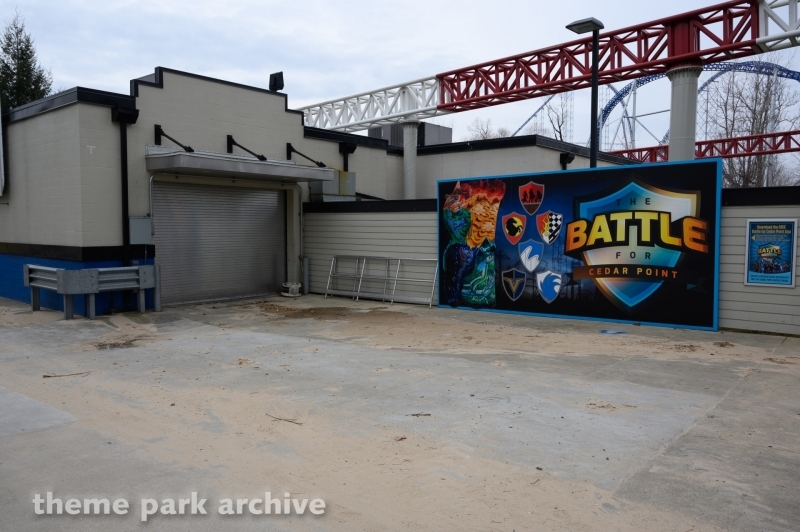 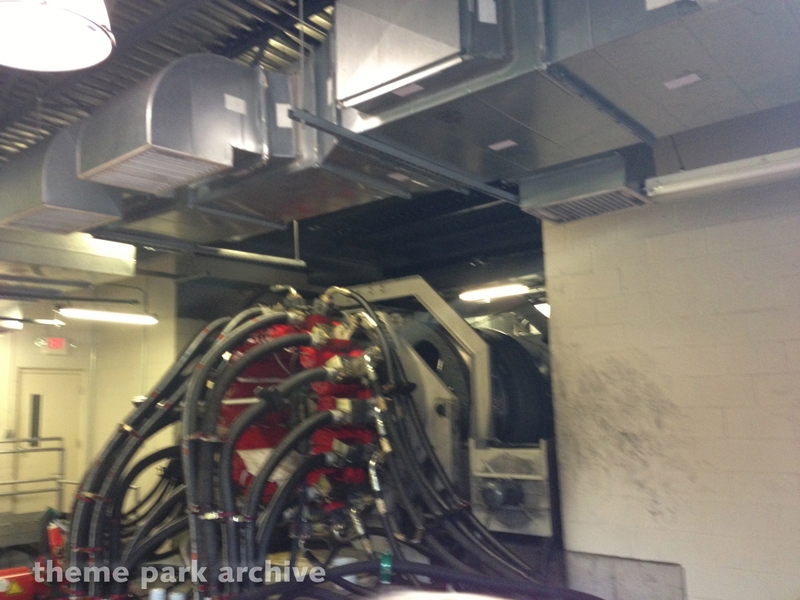 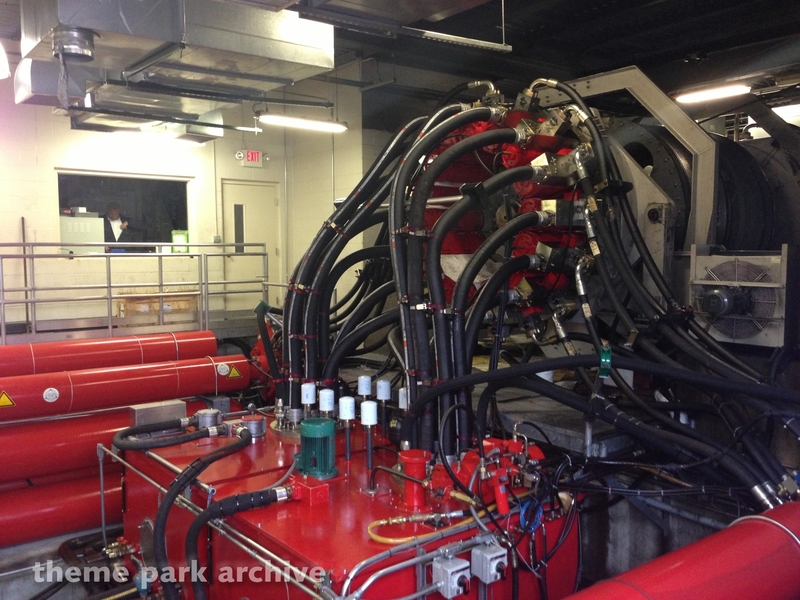 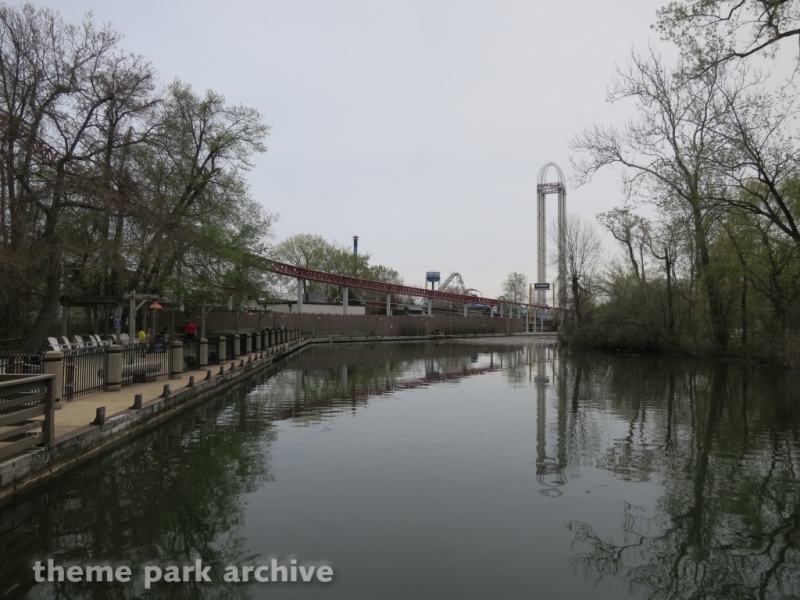 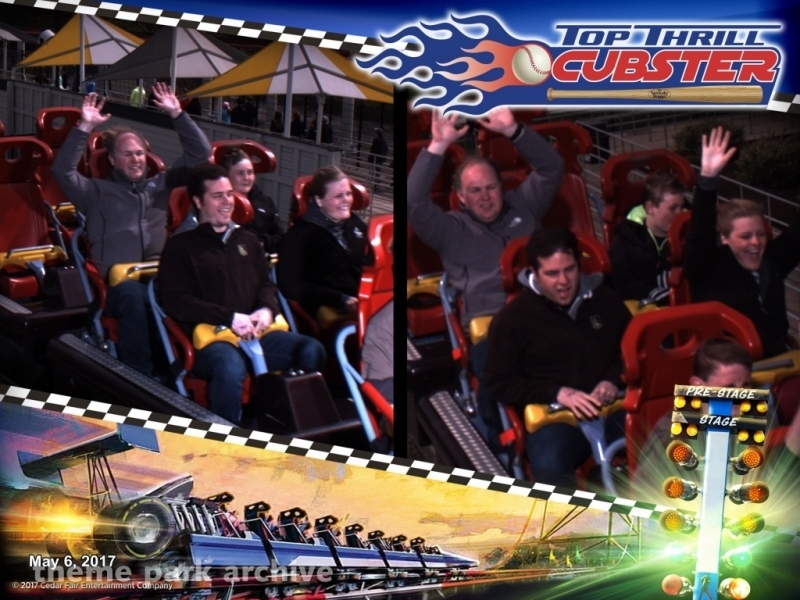 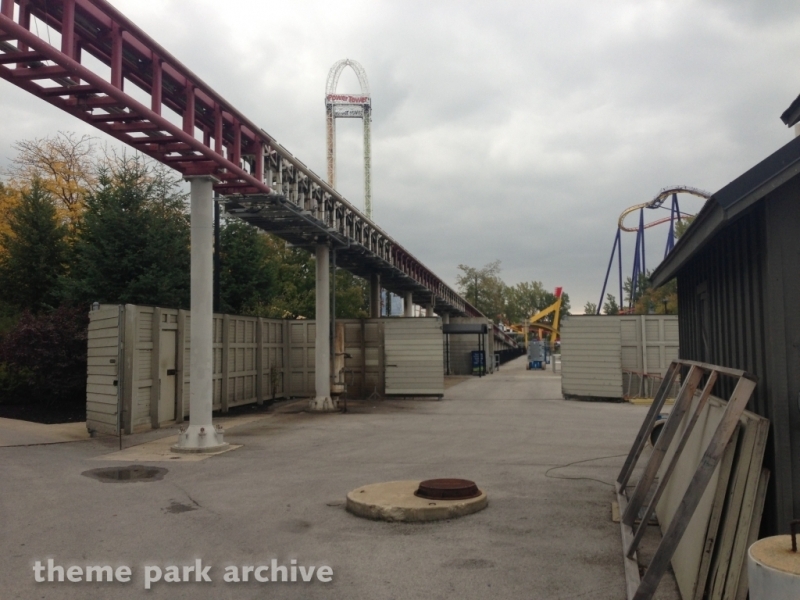 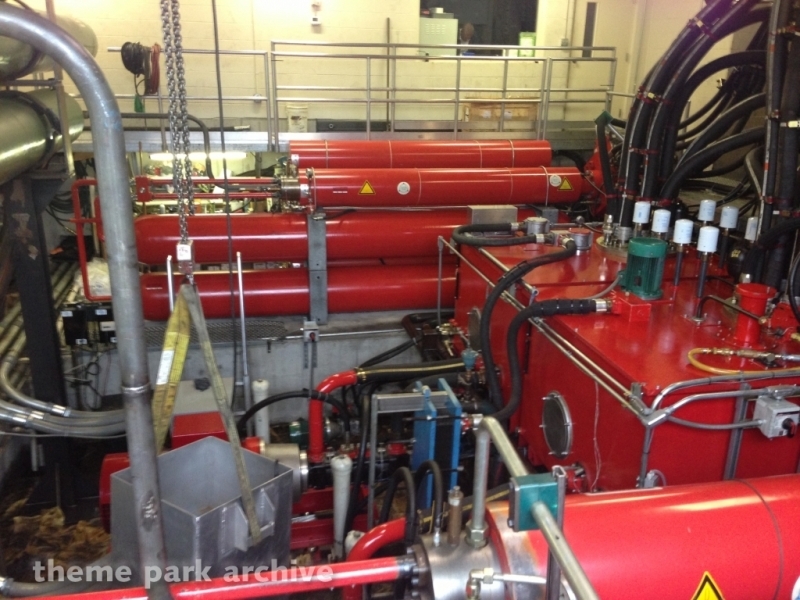 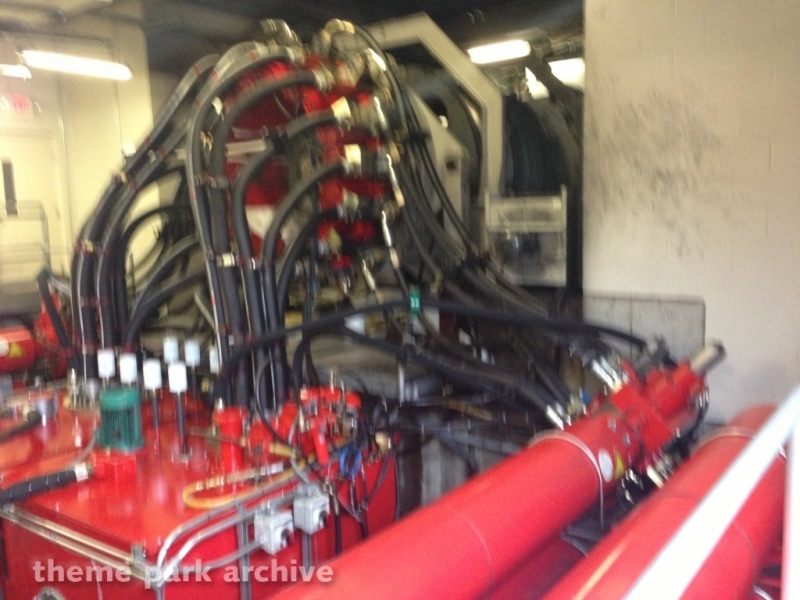 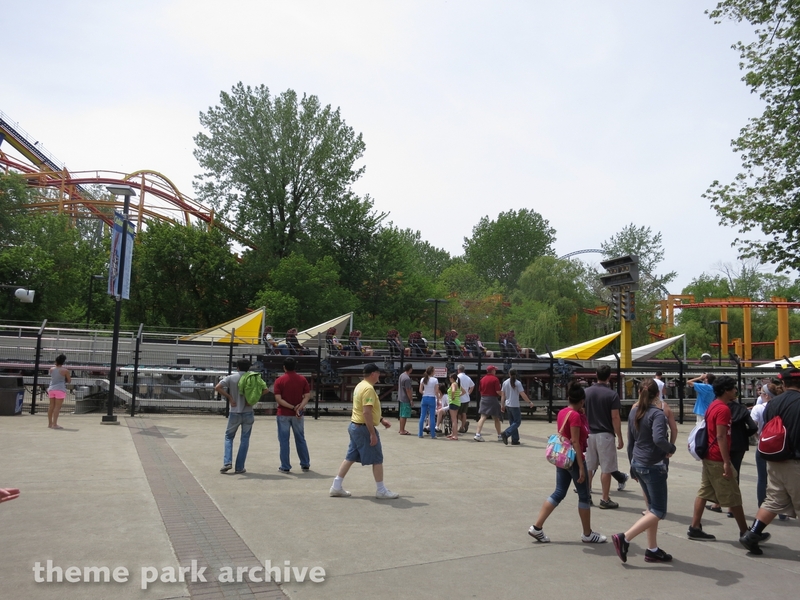 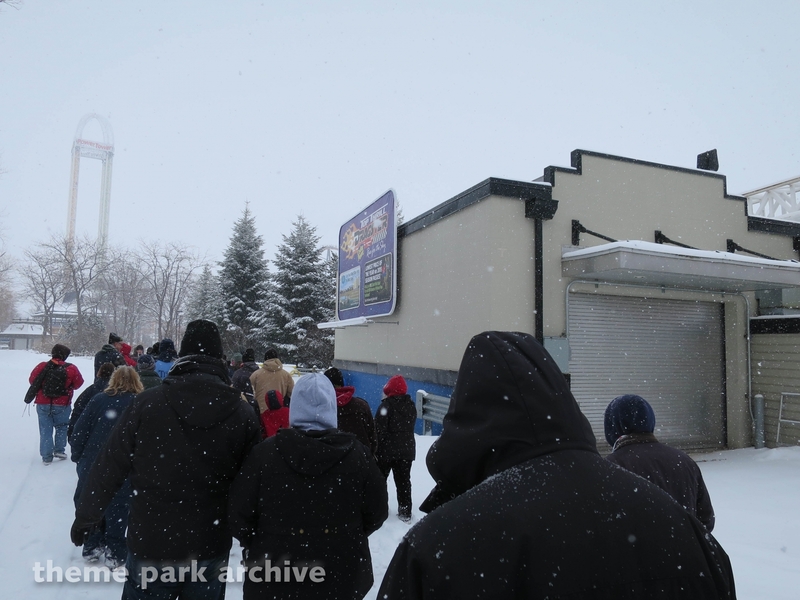 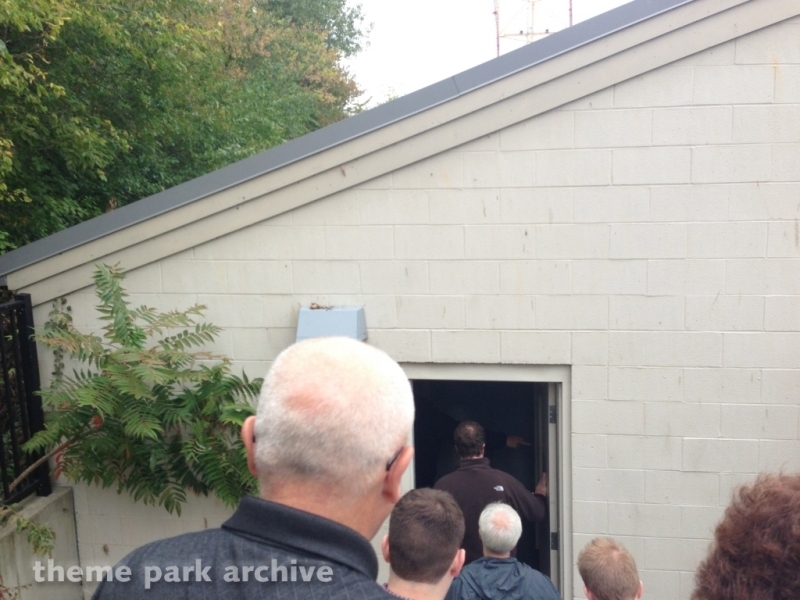 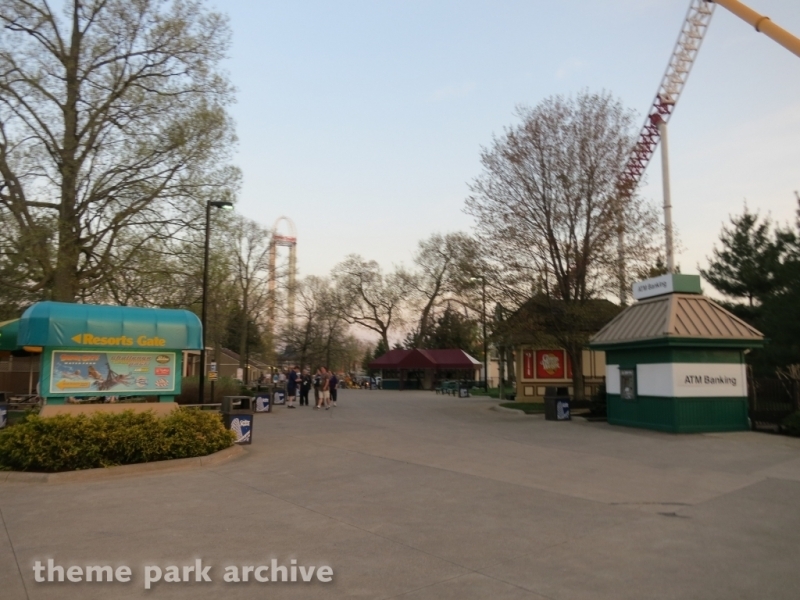 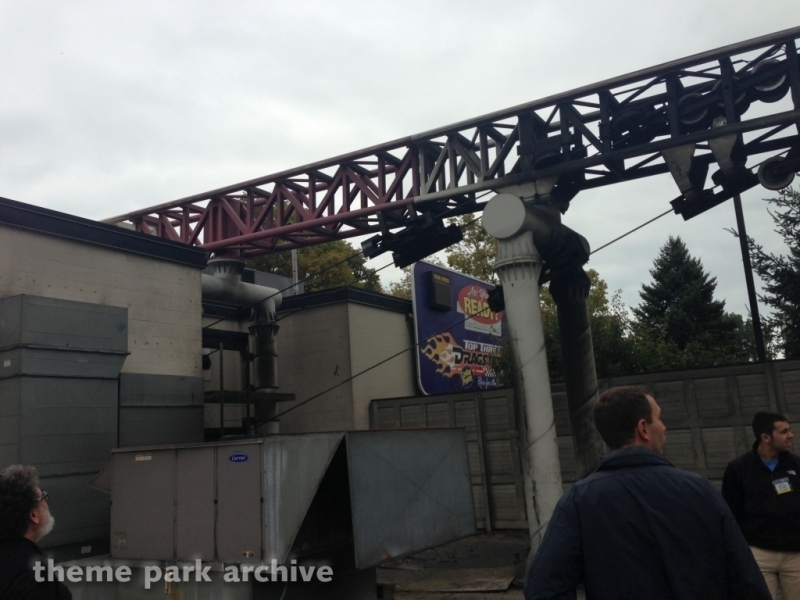 The ride features a drop of 400 feet making this the first strata-coaster. 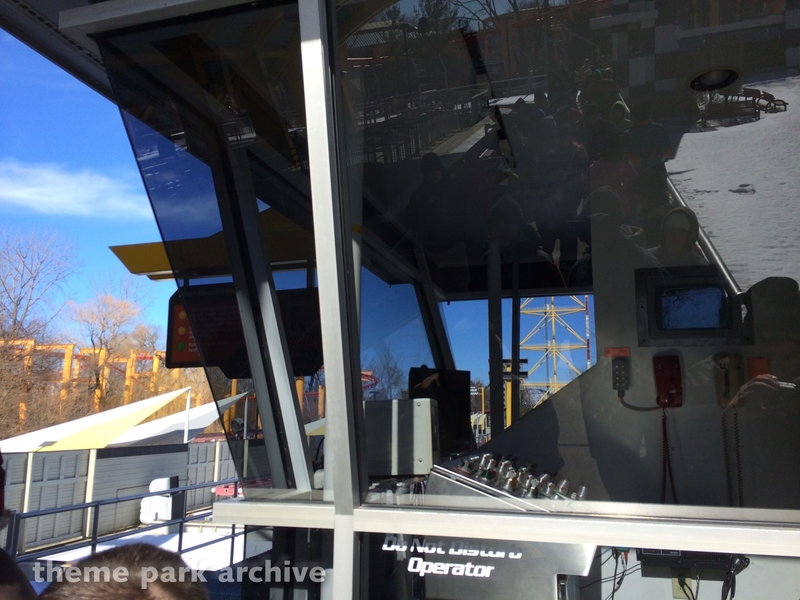 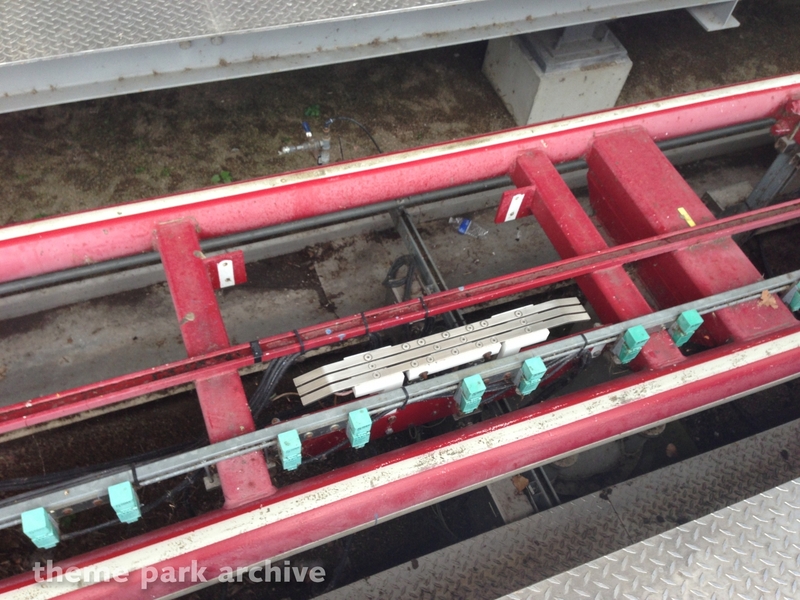 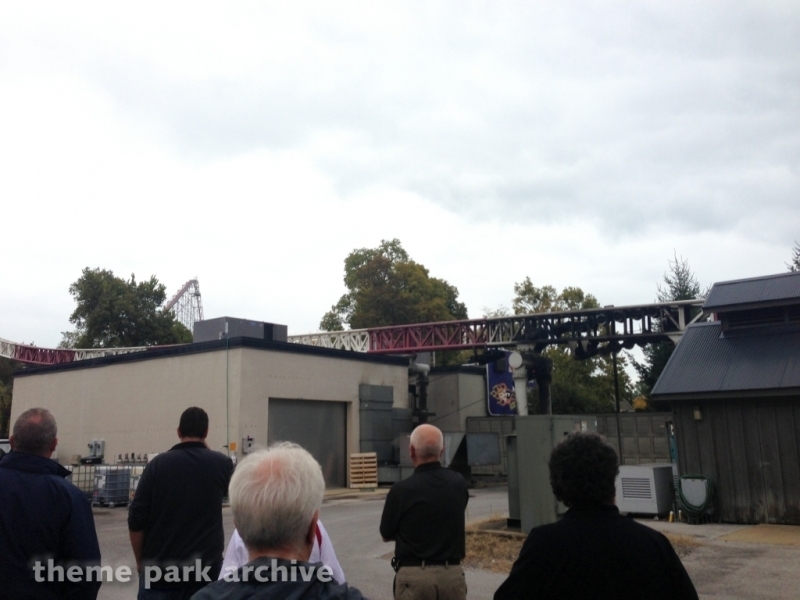 The coaster is given a drag racing theme complete with a christmas tree launch indicator that is replicated on the ride's structure.